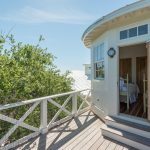 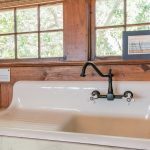 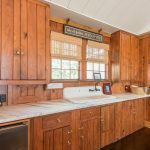 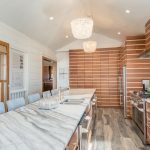 Dunewalk’ Historic Oceanfront Home - Town and Island Co. 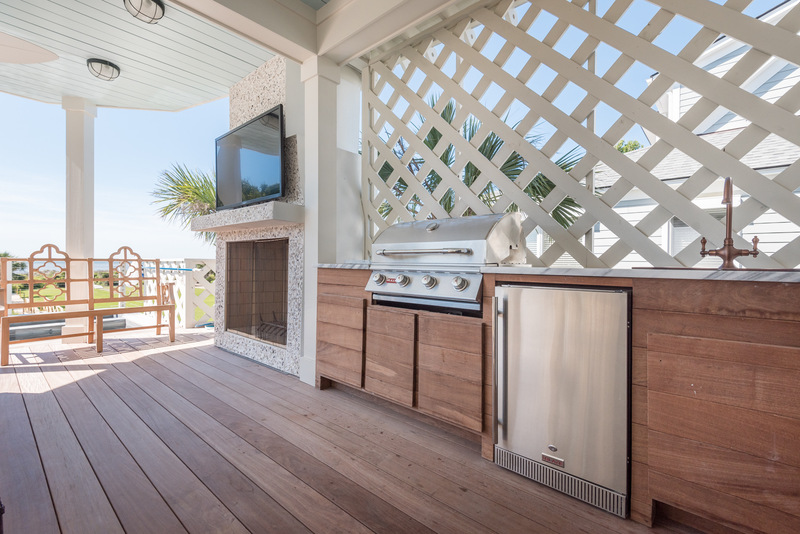 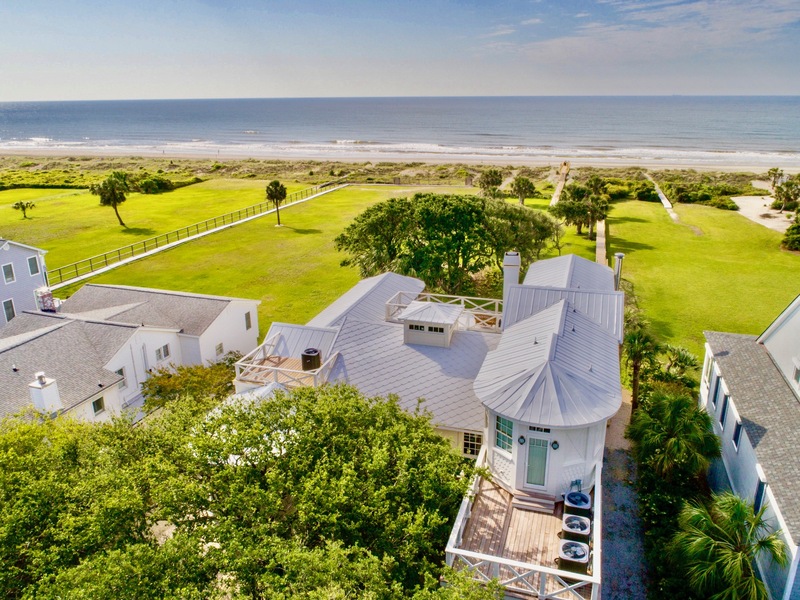 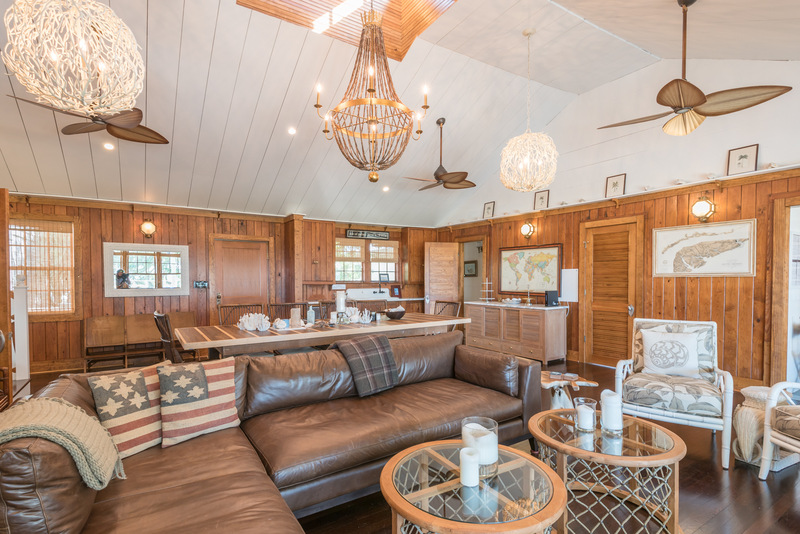 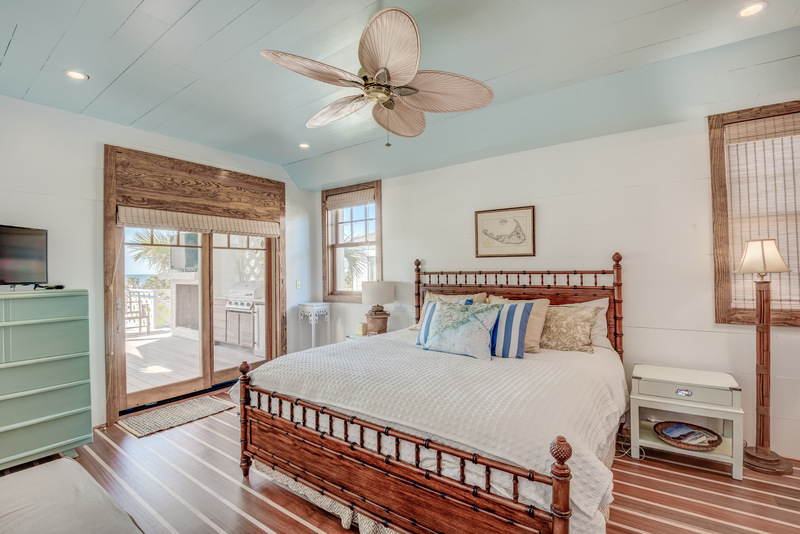 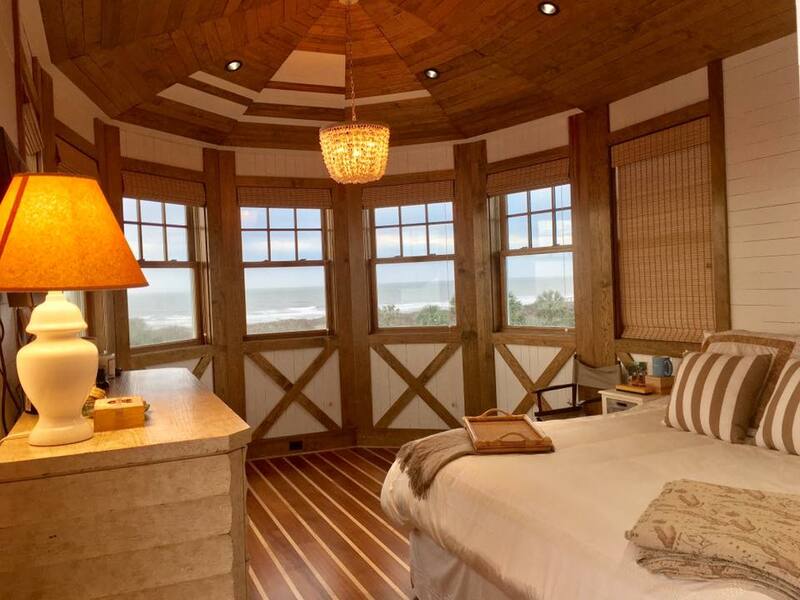 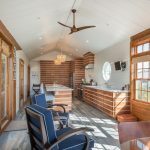 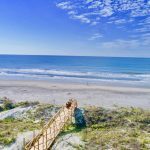 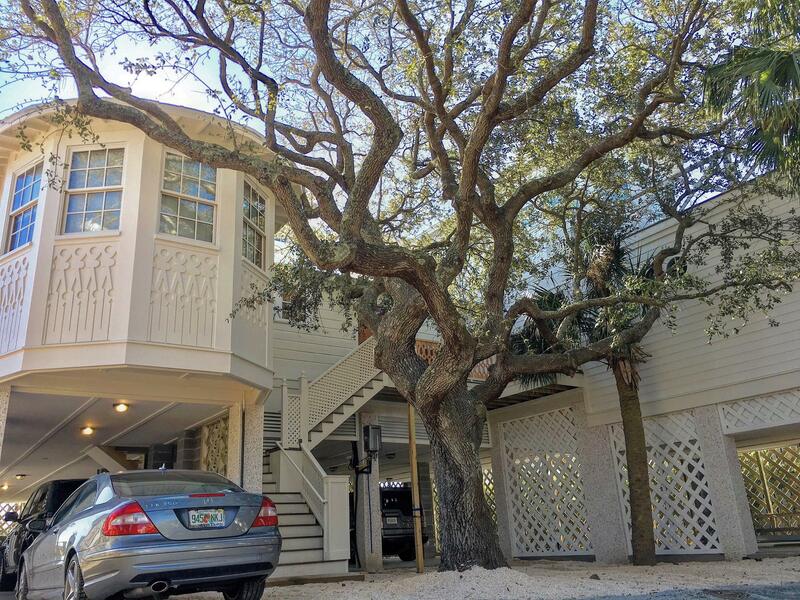 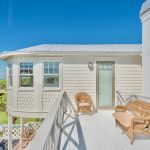 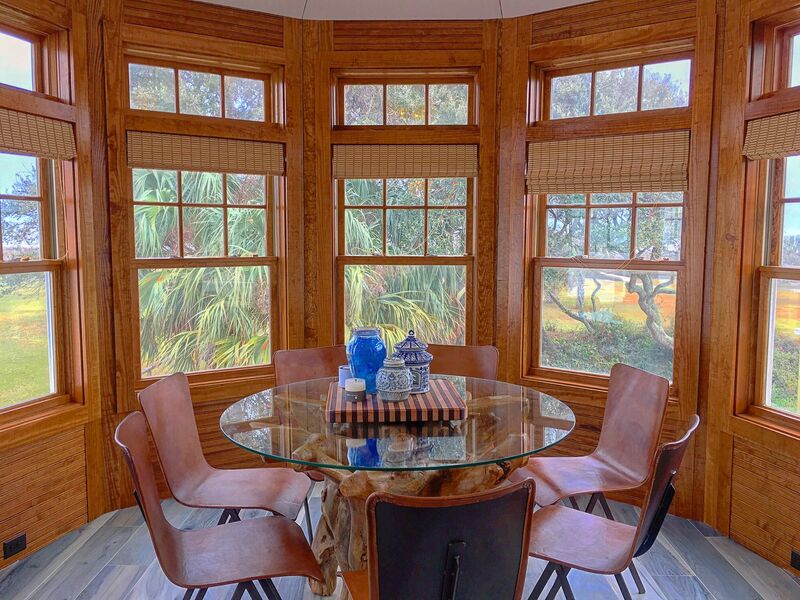 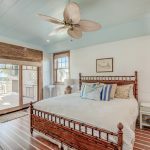 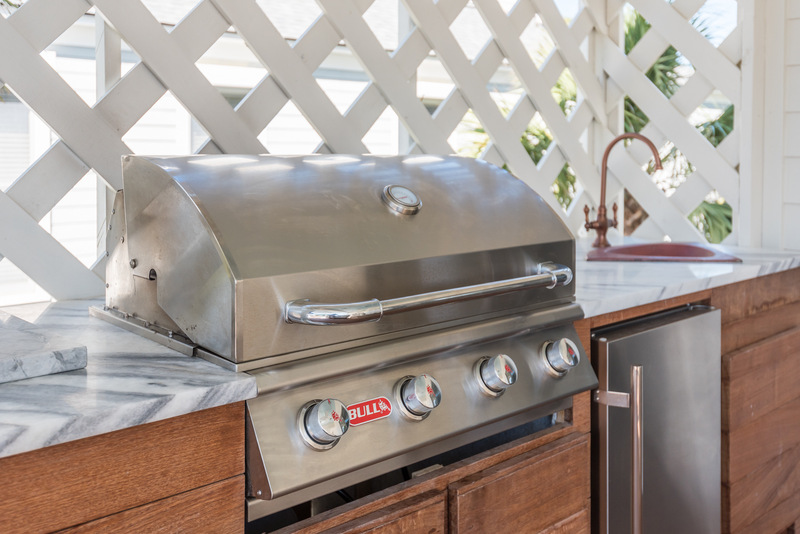 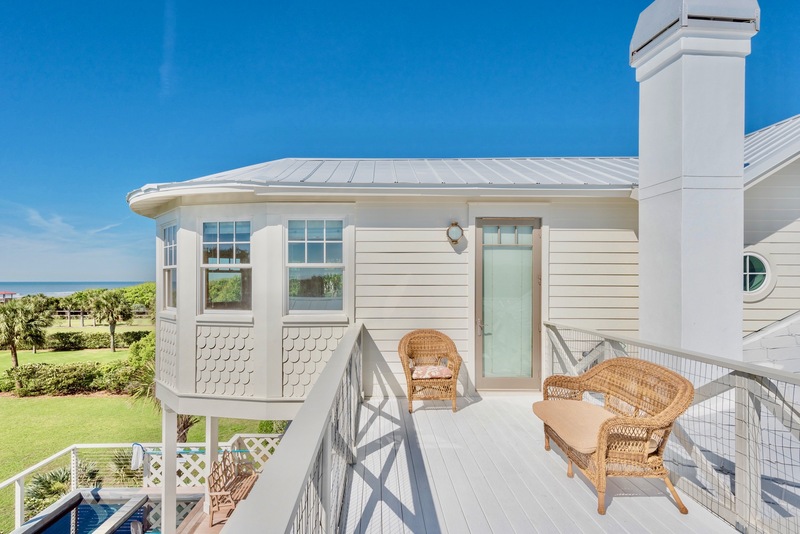 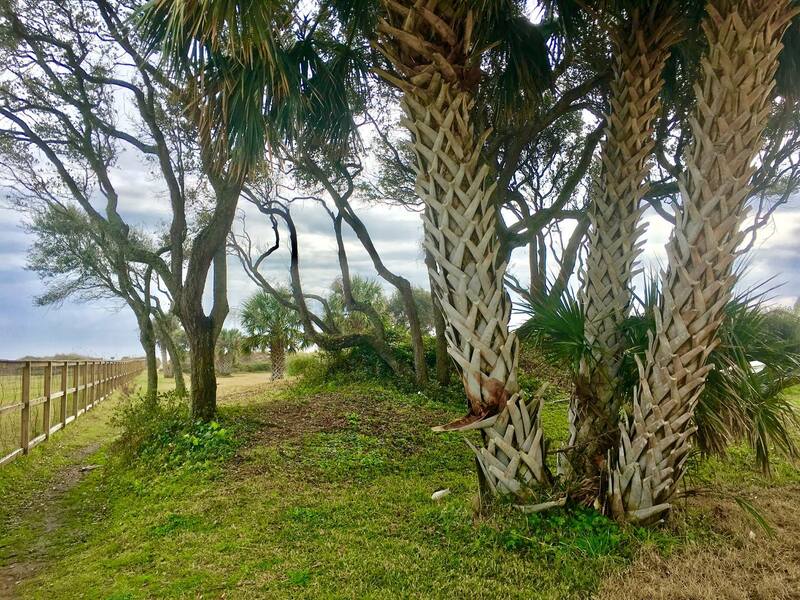 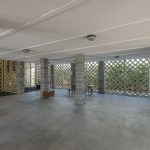 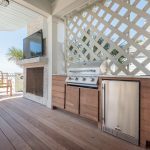 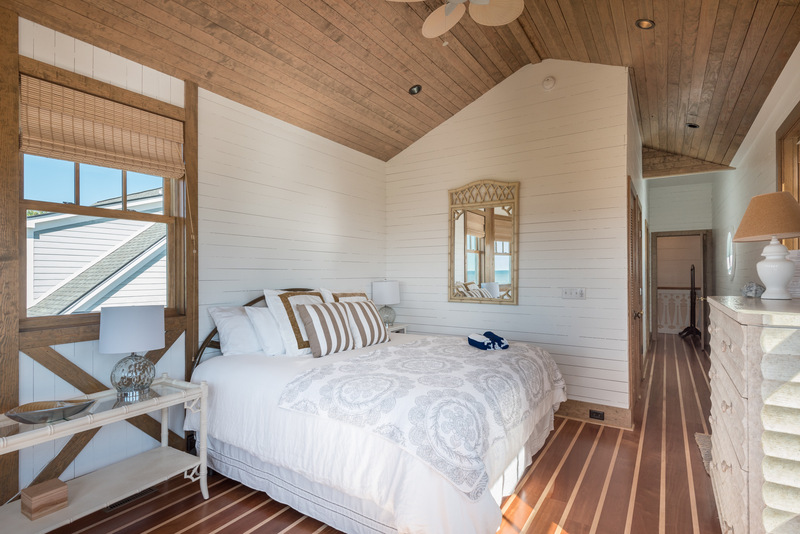 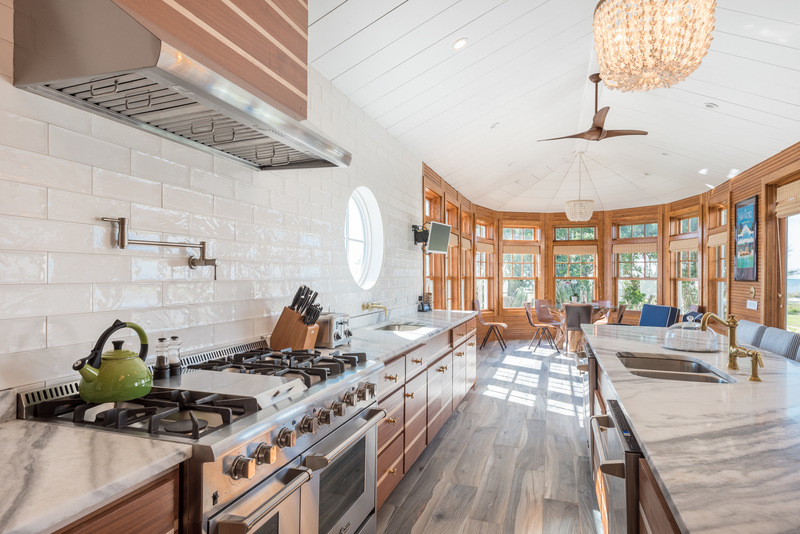 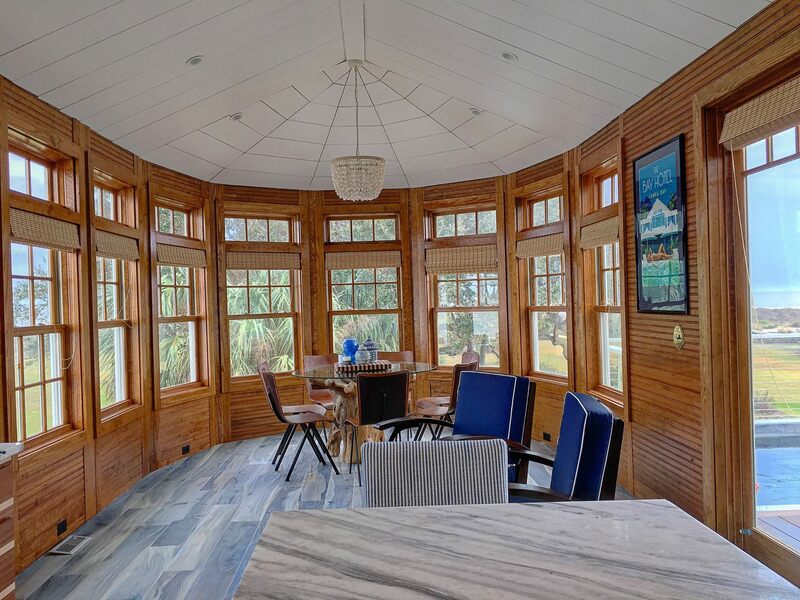 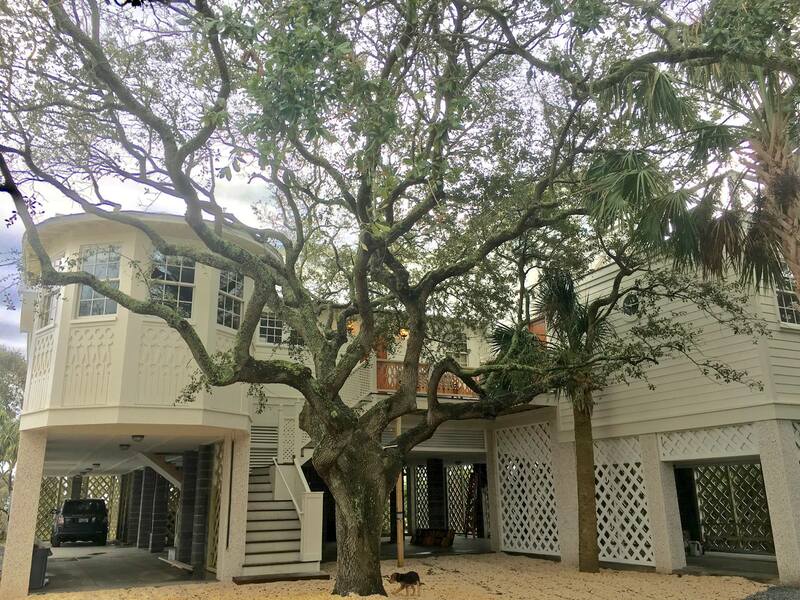 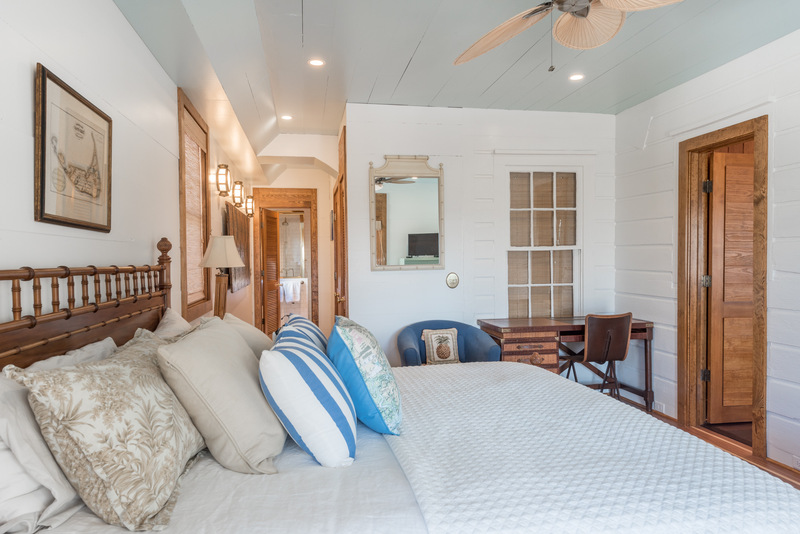 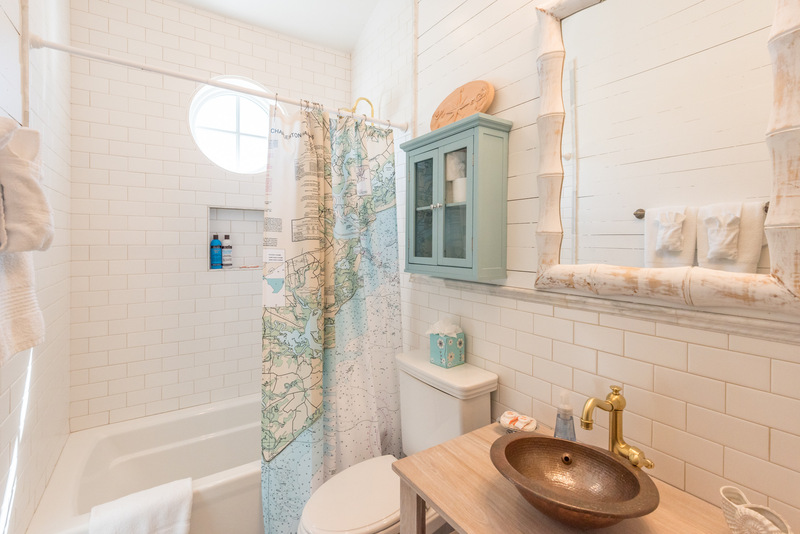 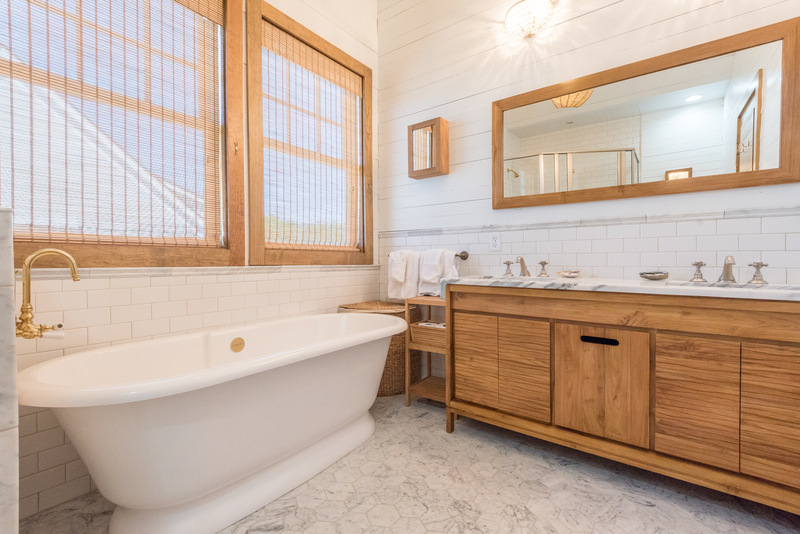 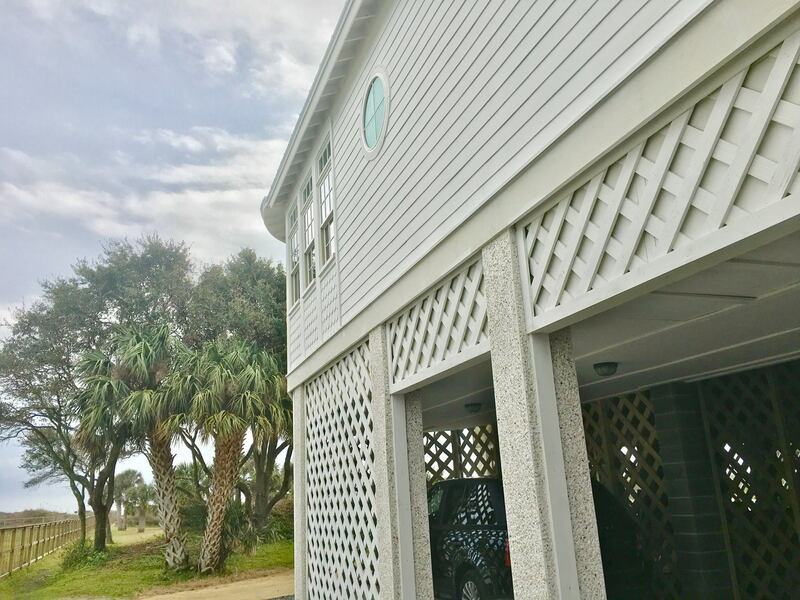 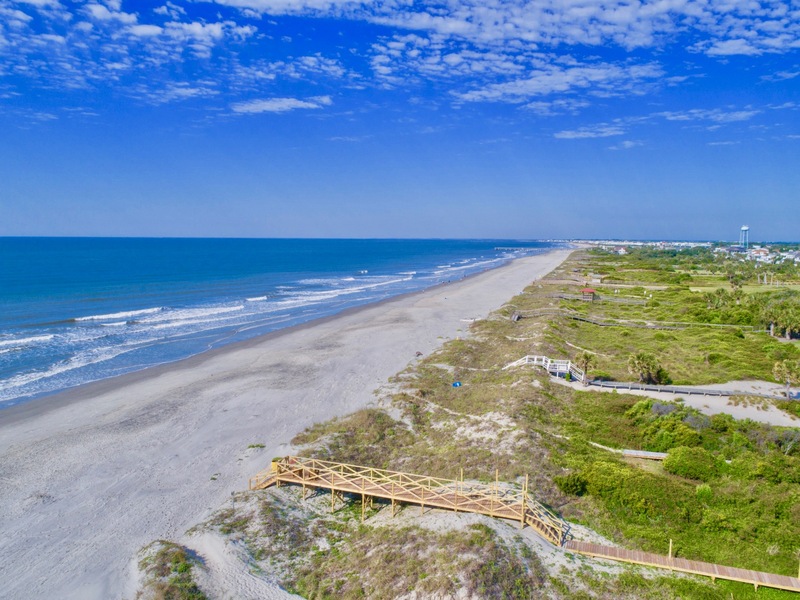 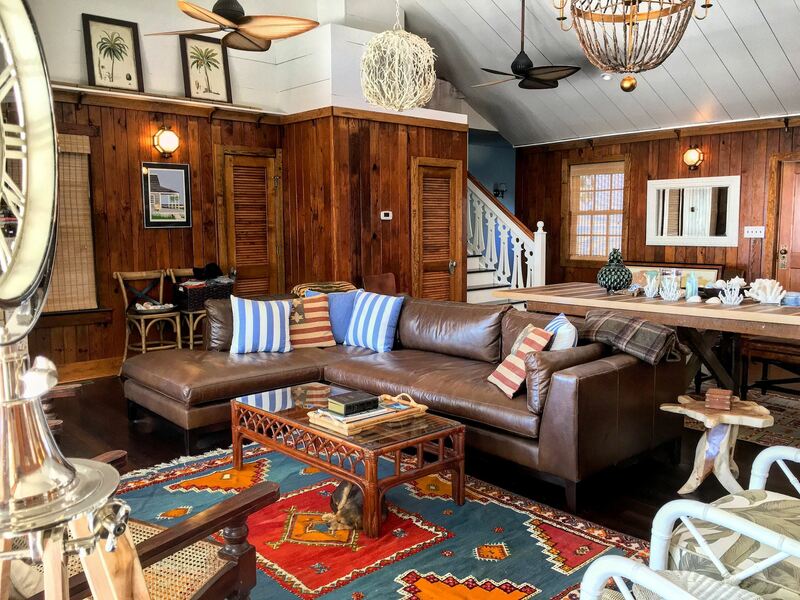 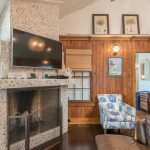 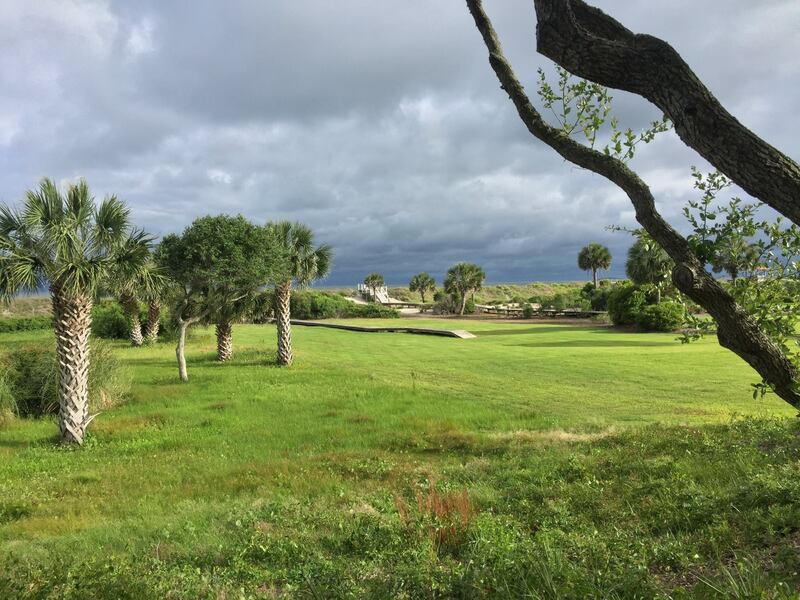 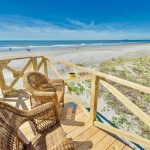 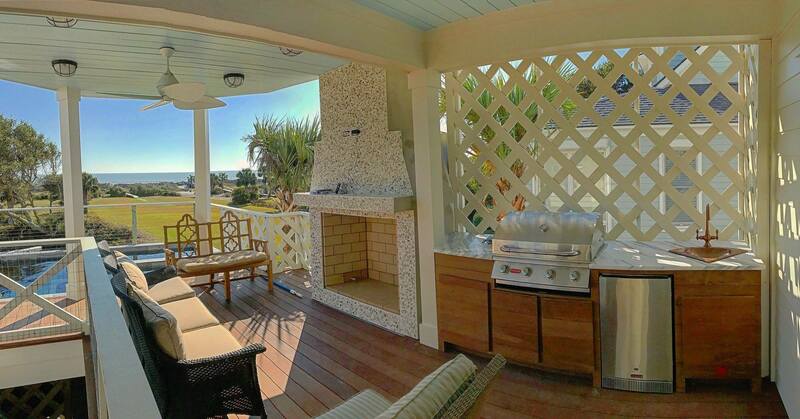 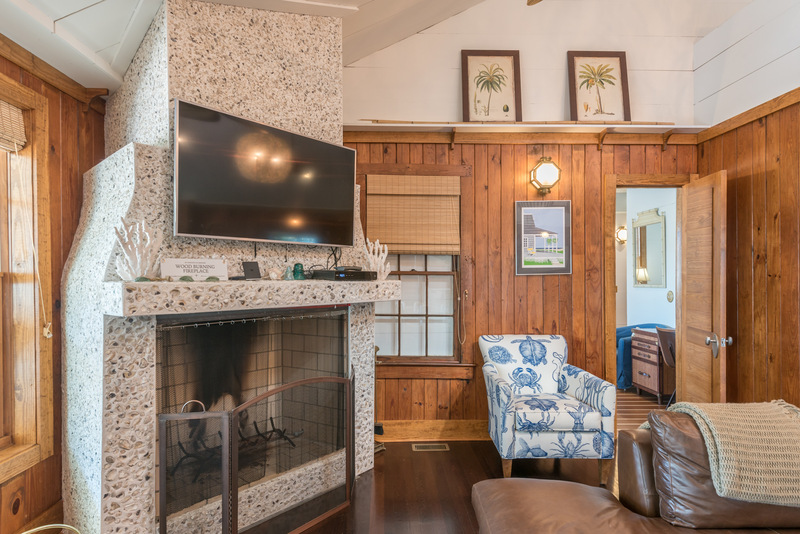 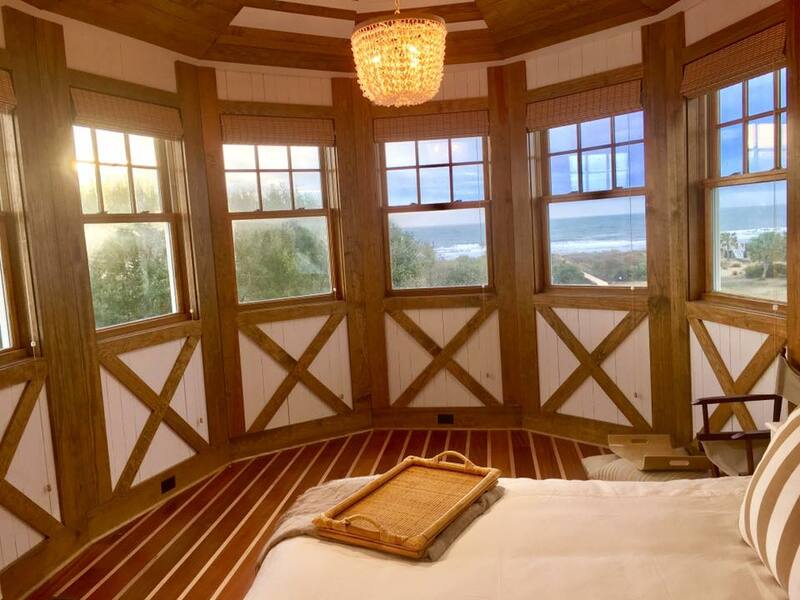 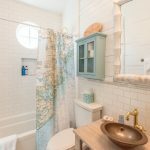 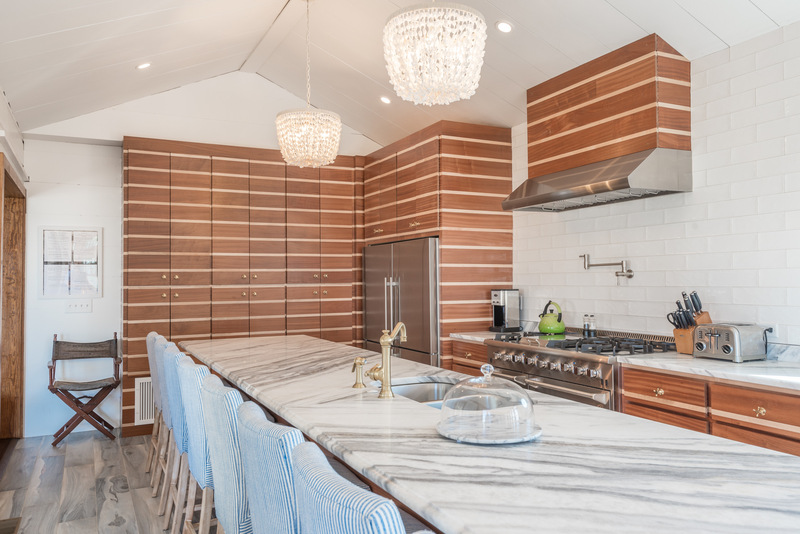 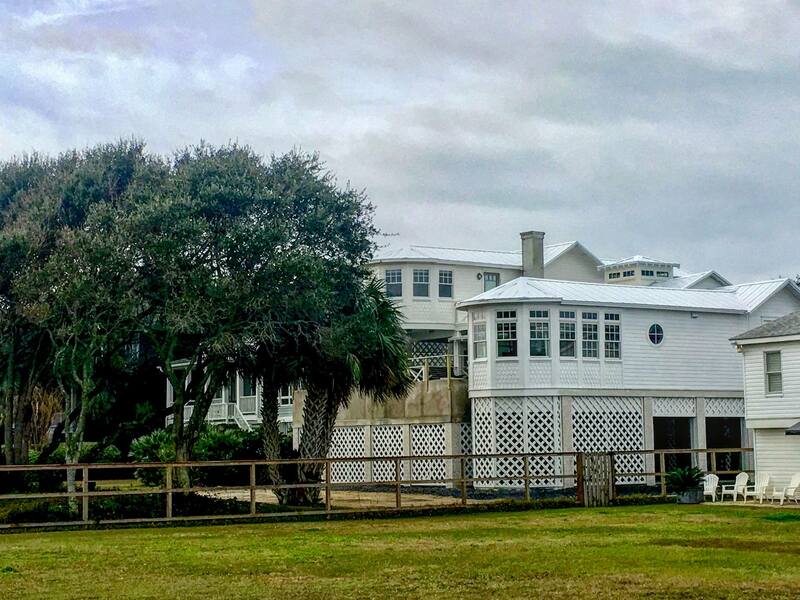 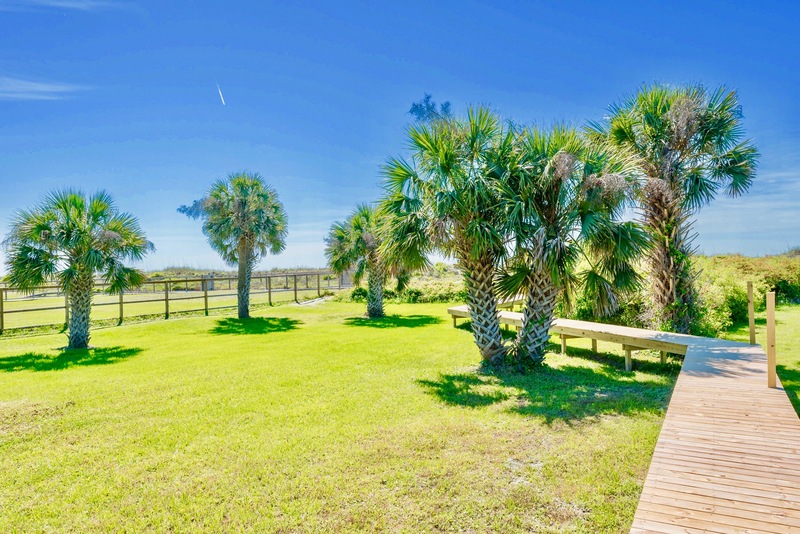 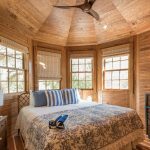 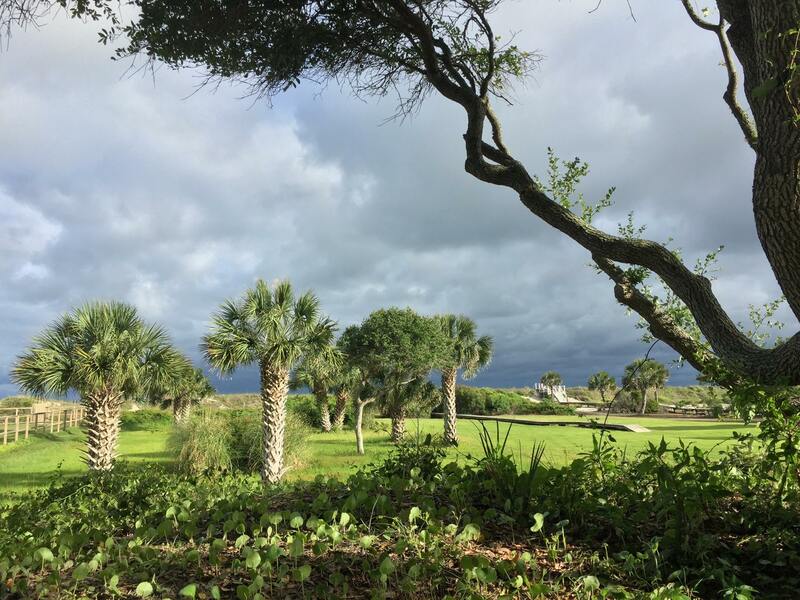 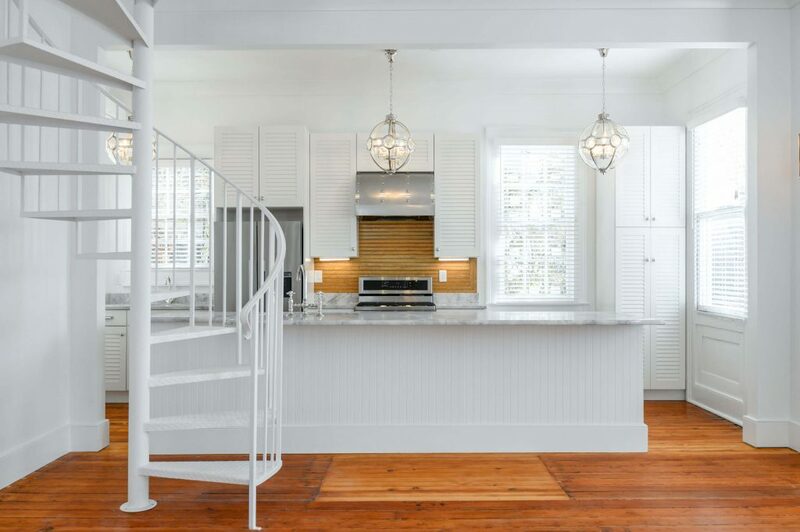 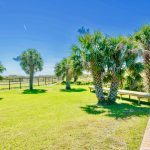 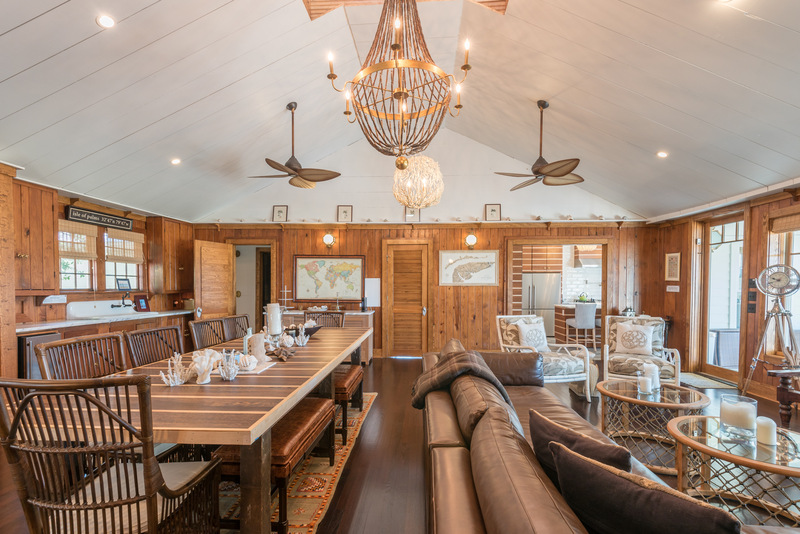 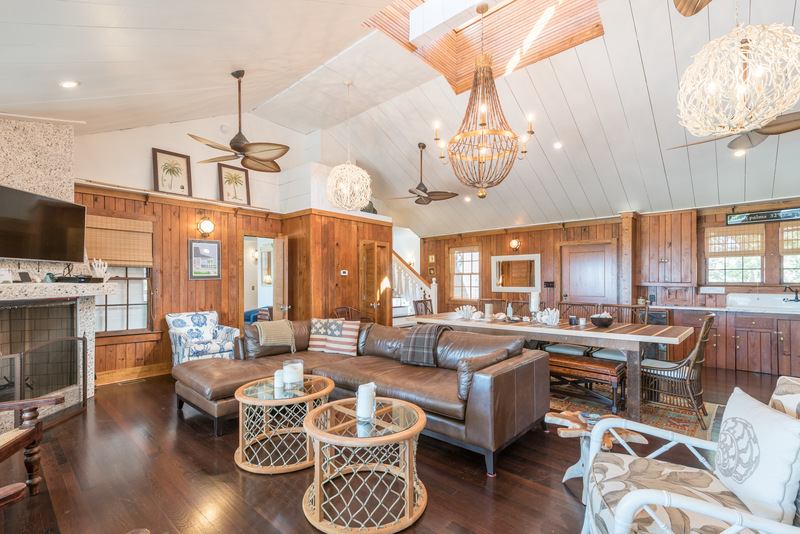 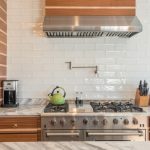 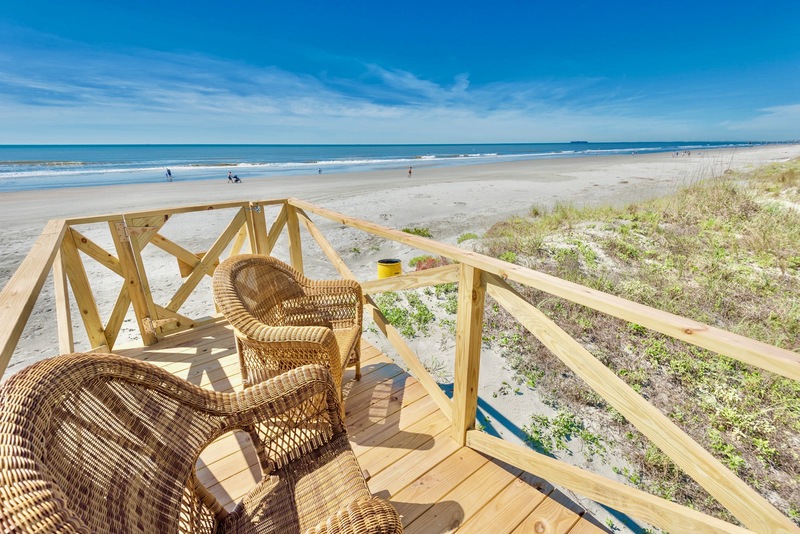 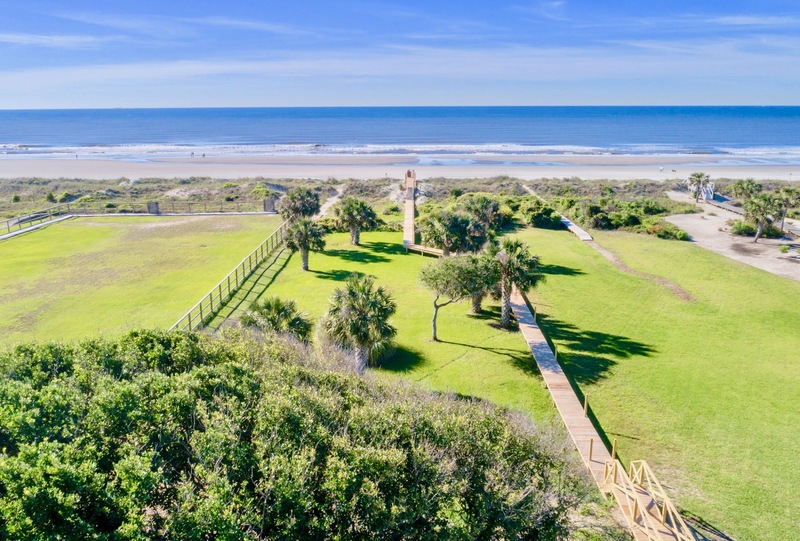 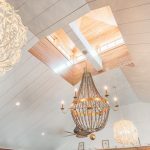 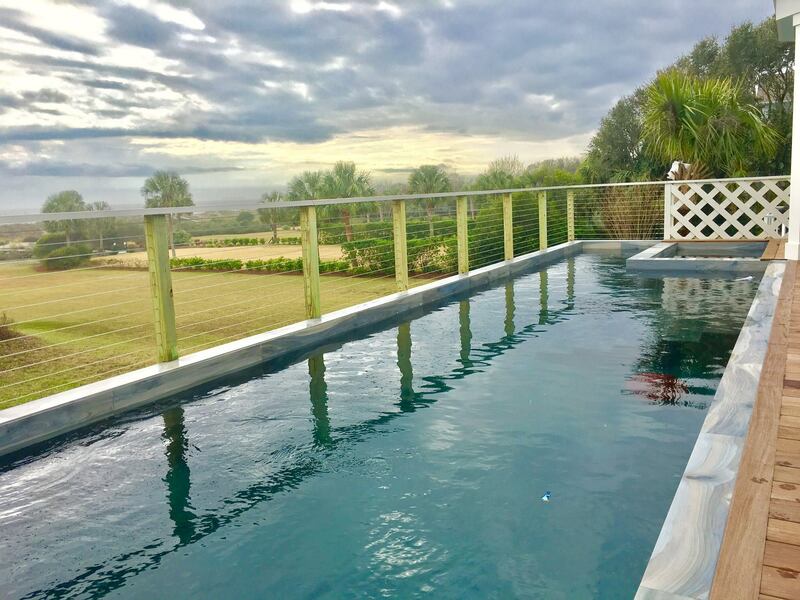 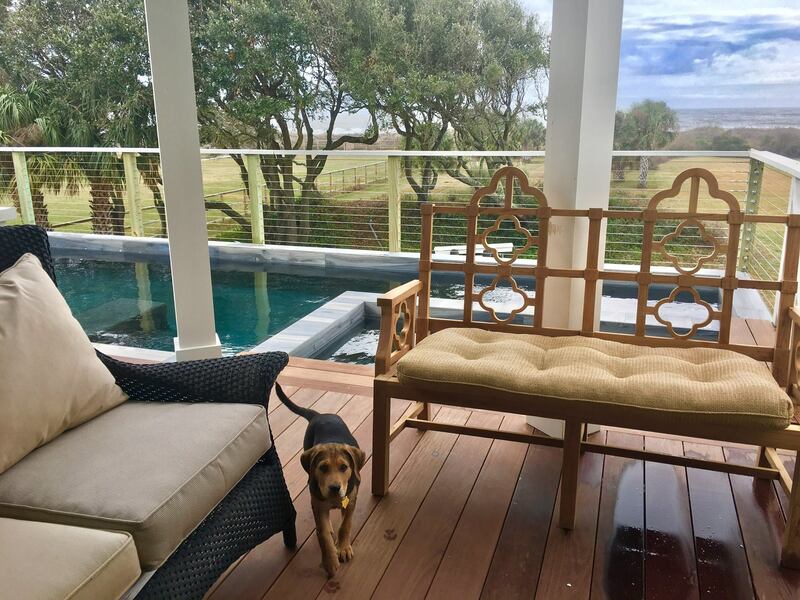 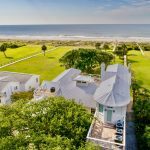 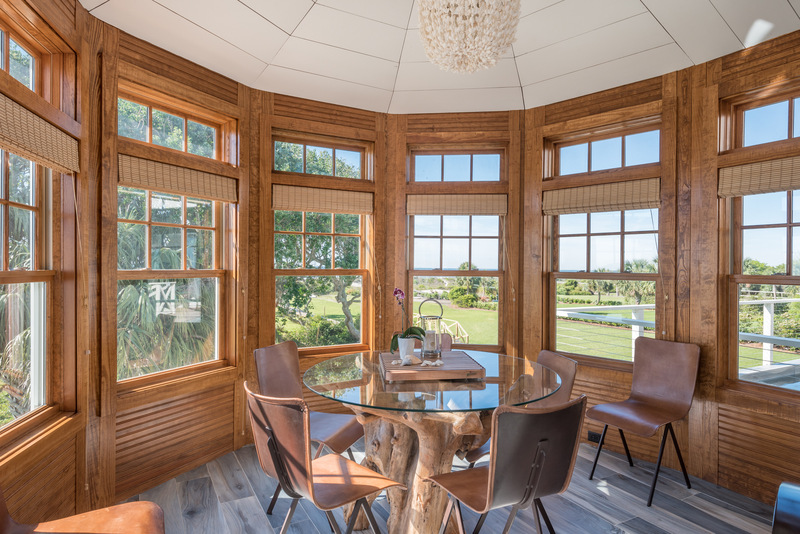 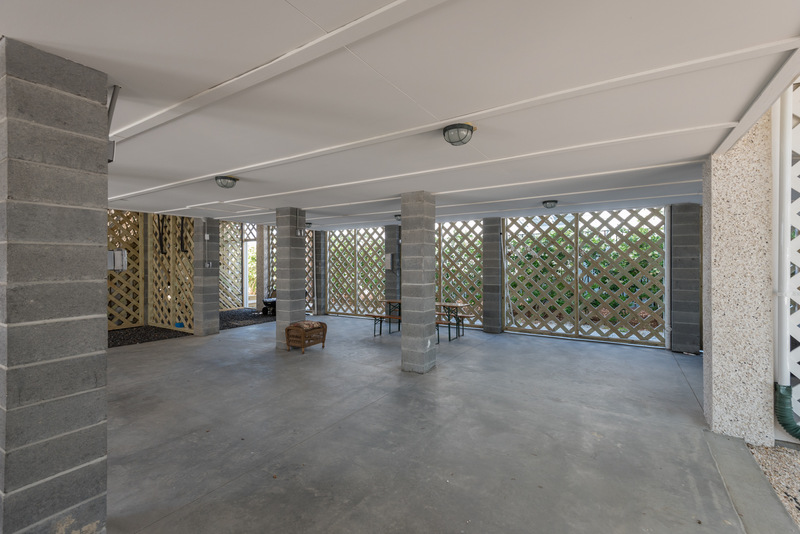 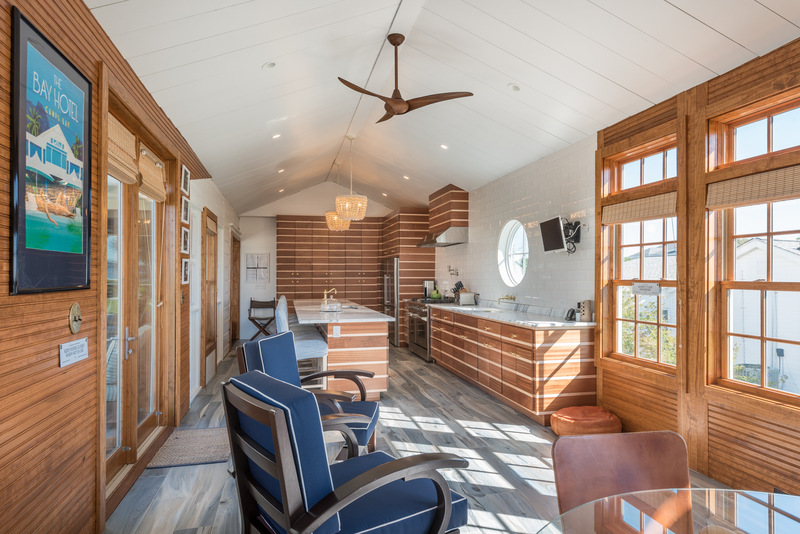 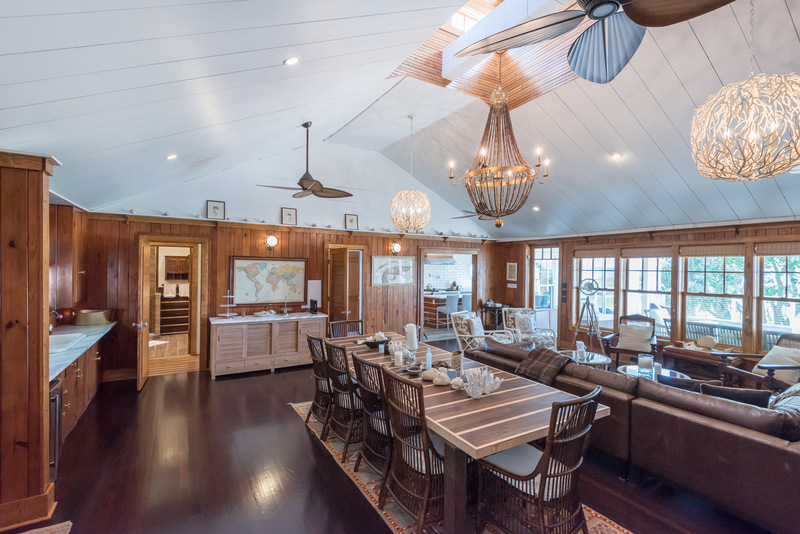 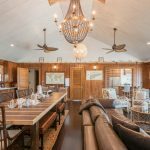 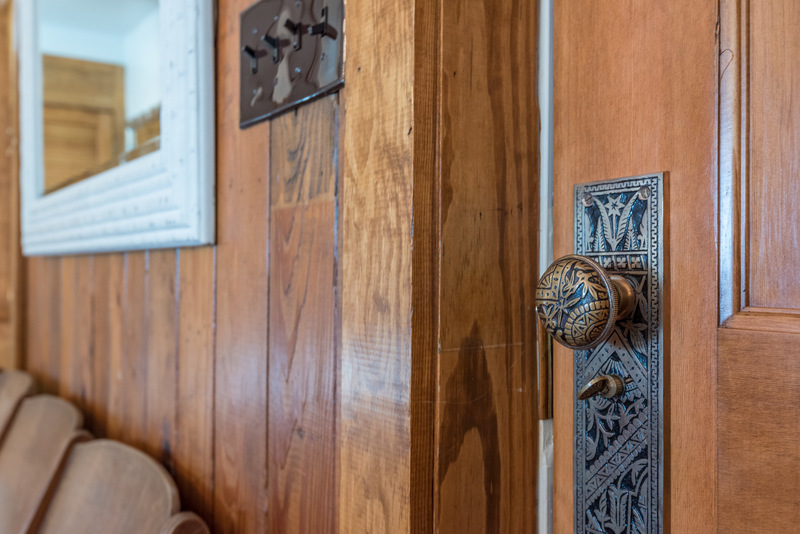 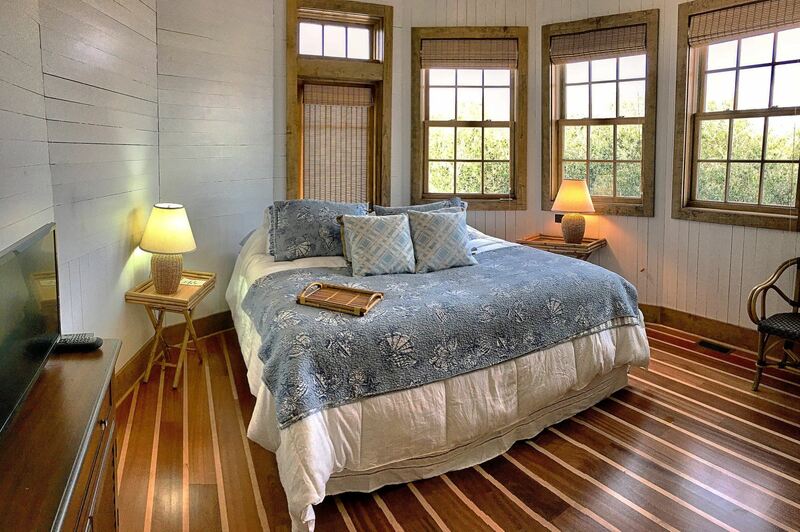 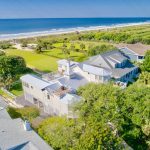 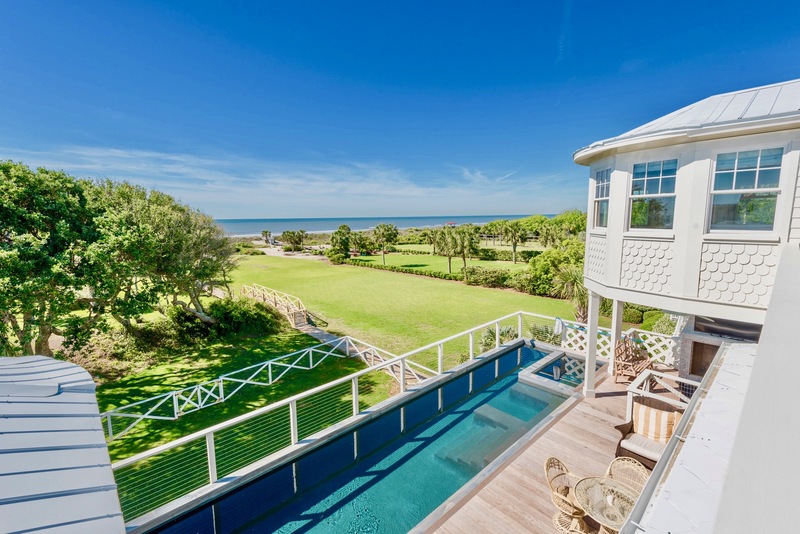 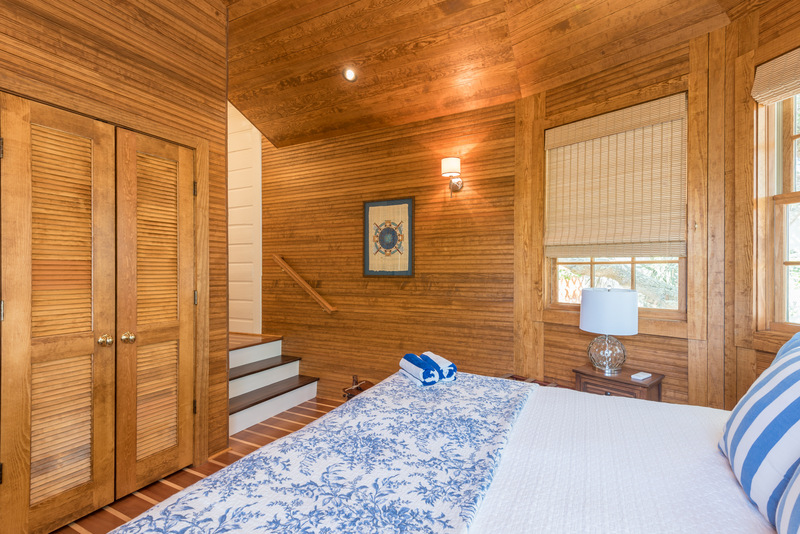 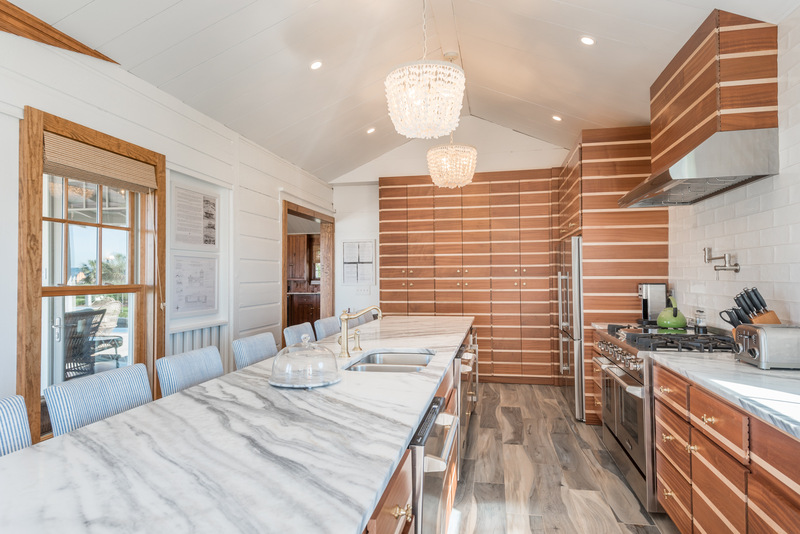 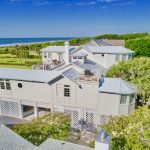 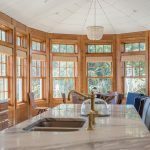 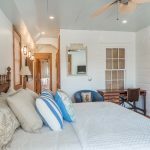 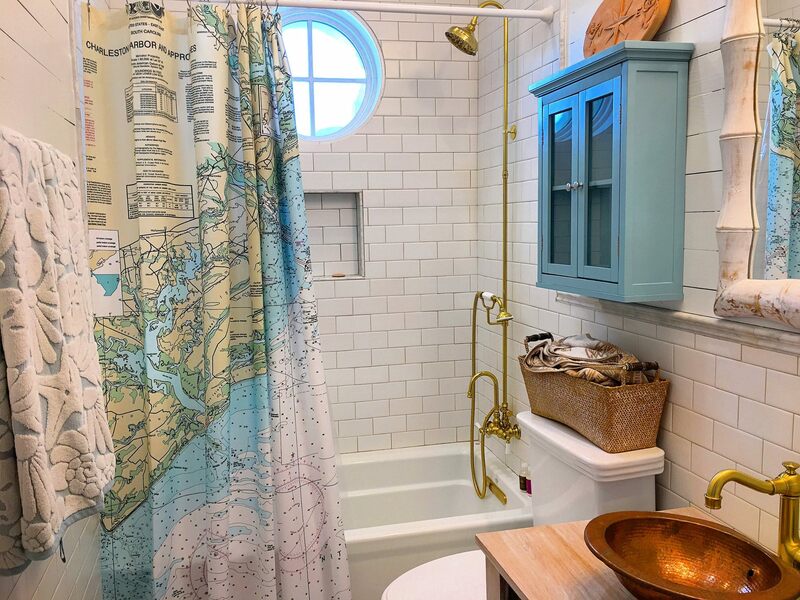 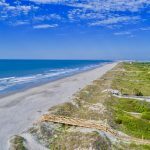 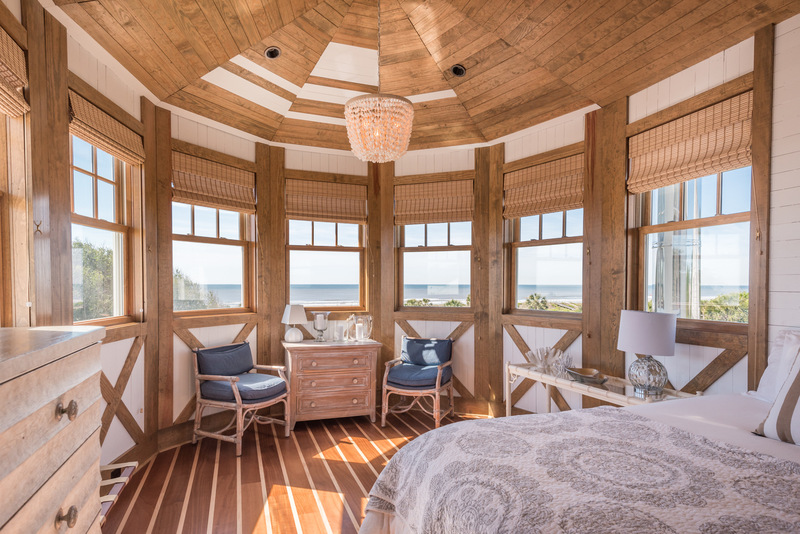 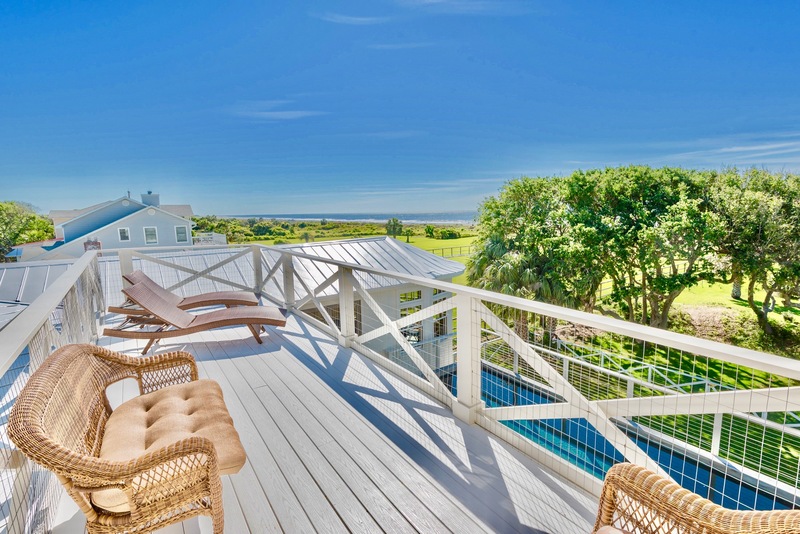 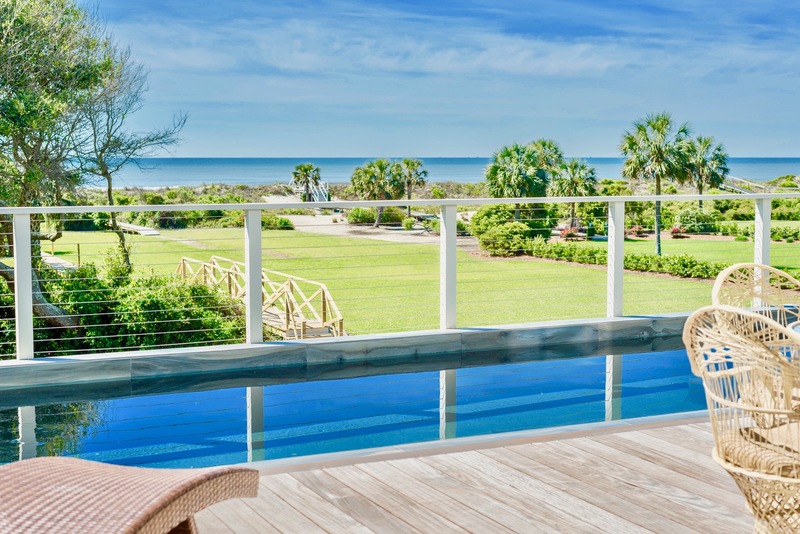 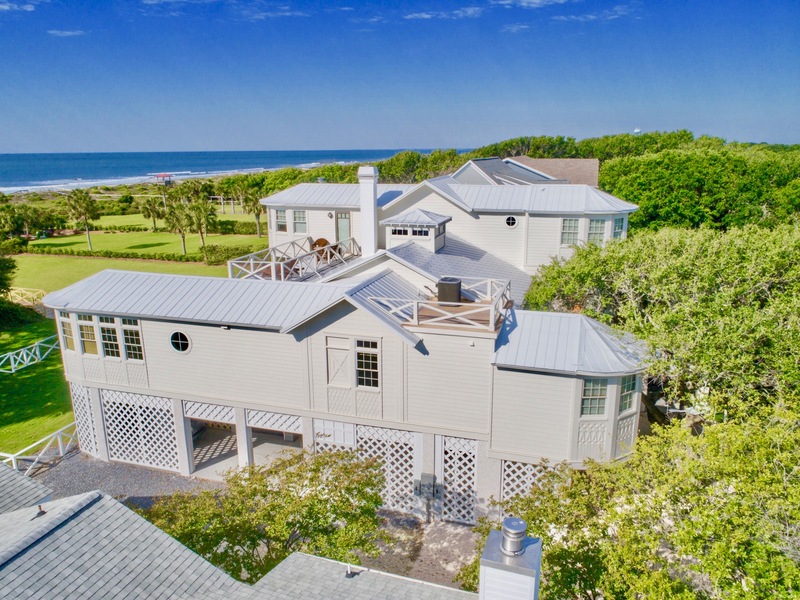 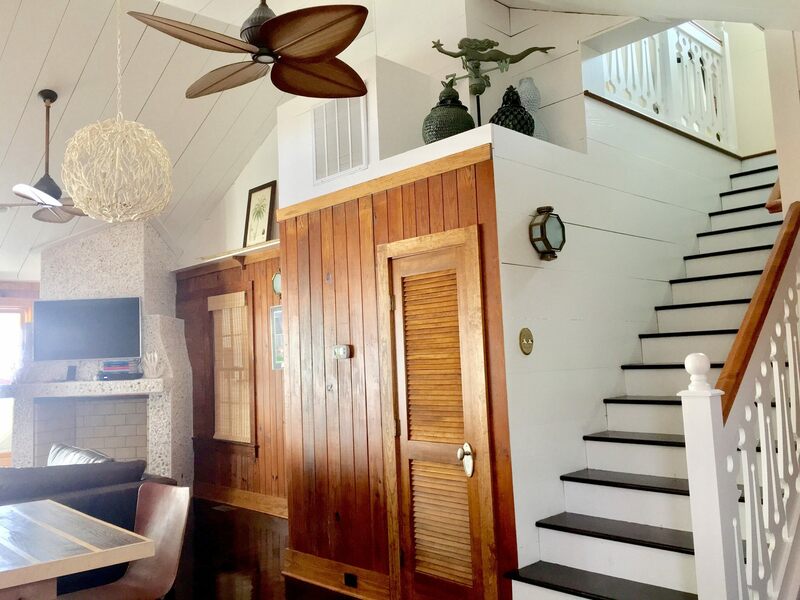 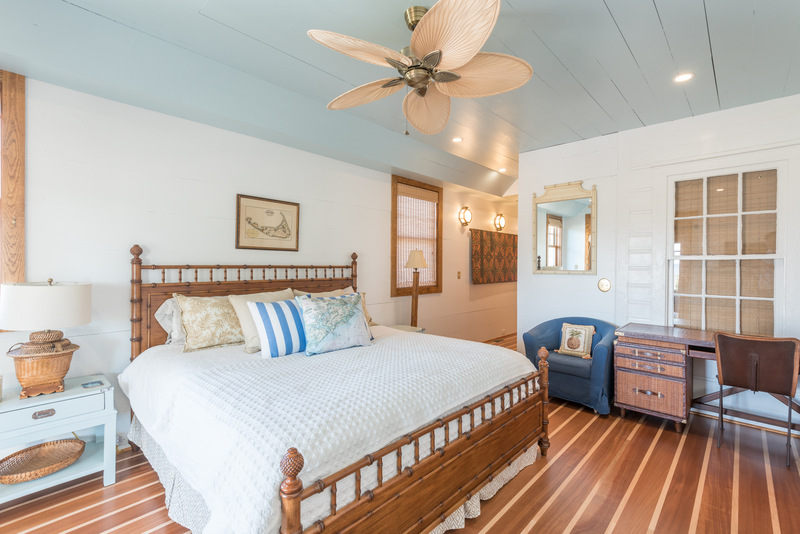 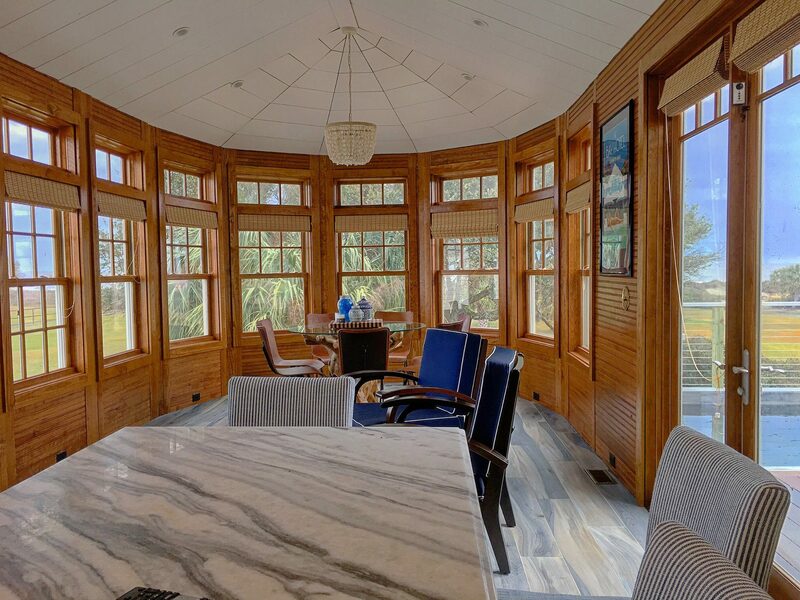 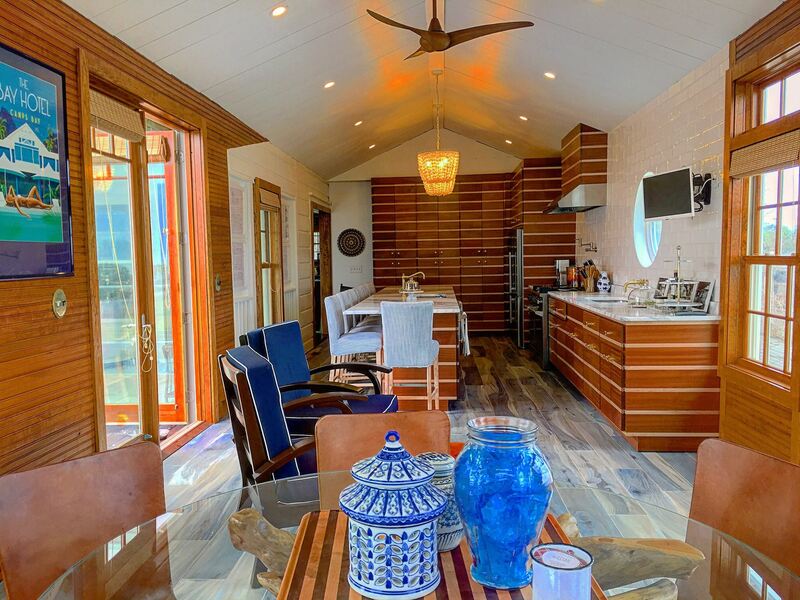 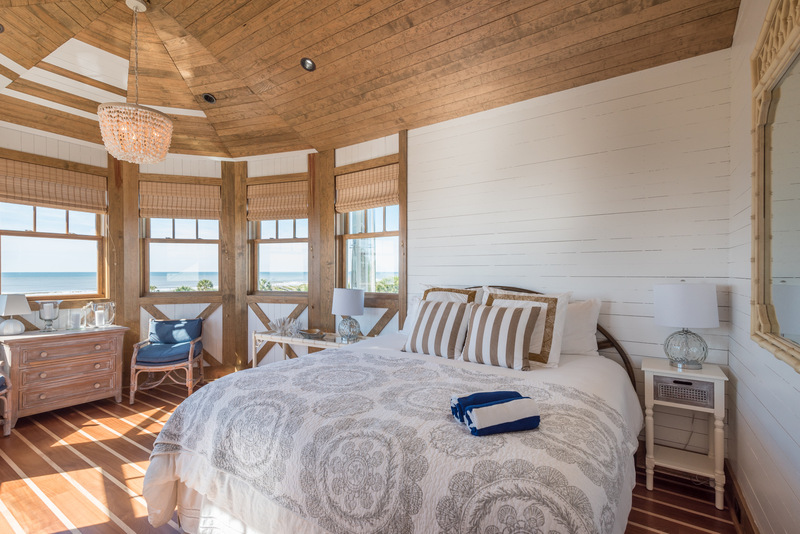 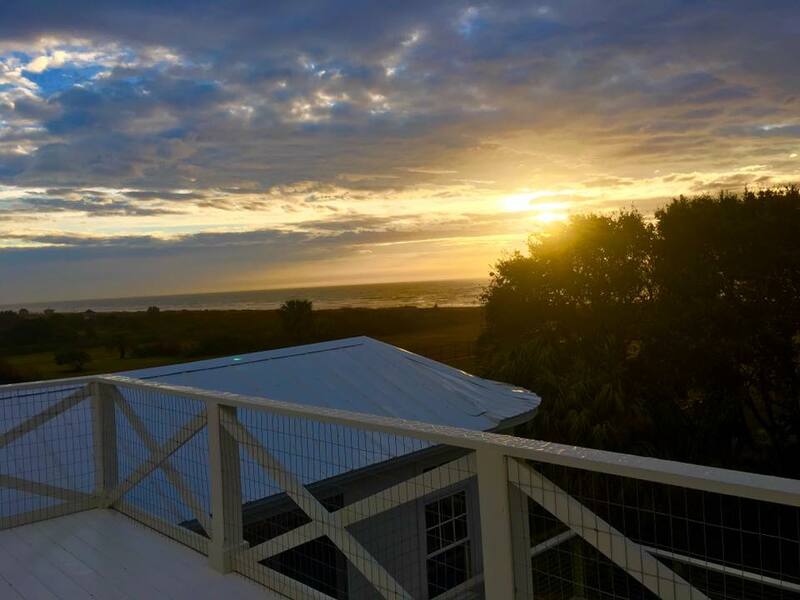 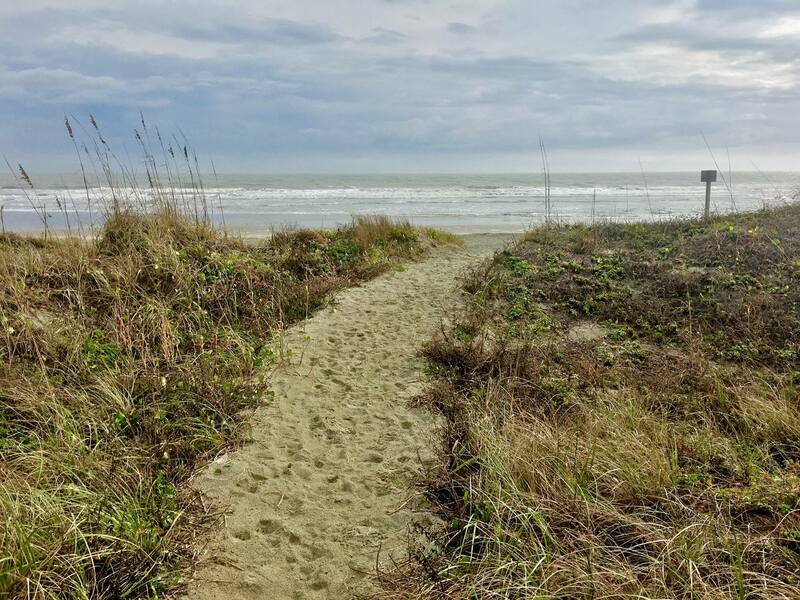 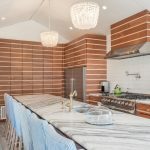 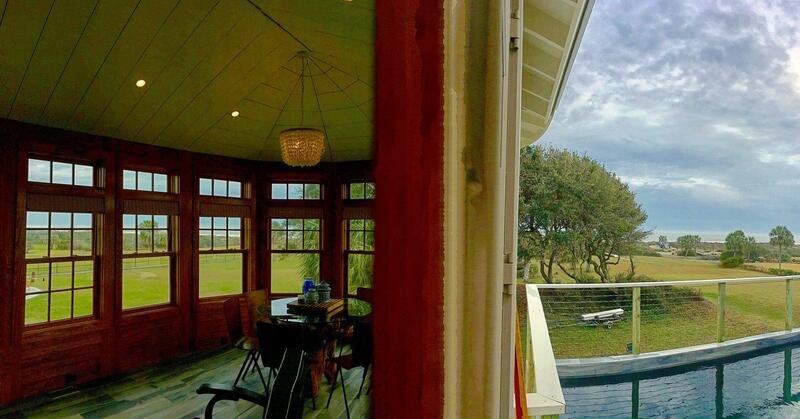 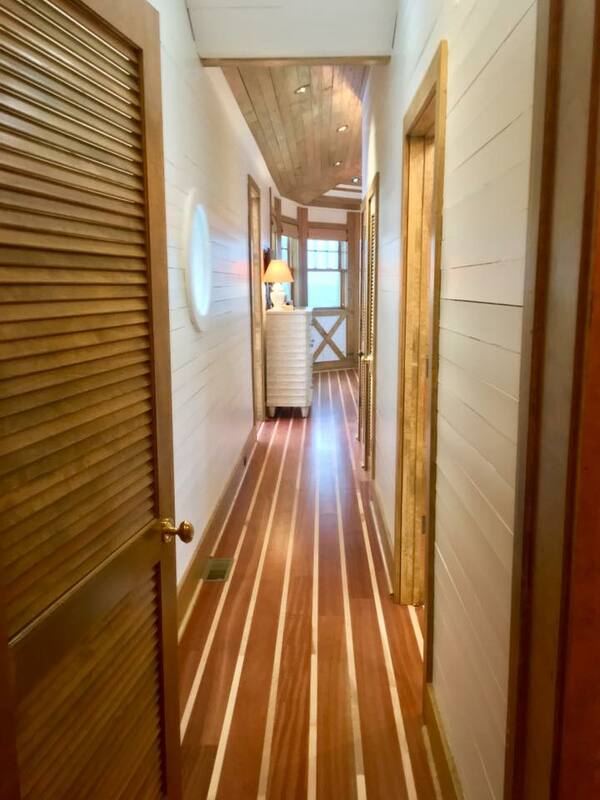 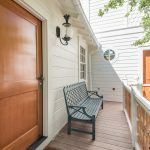 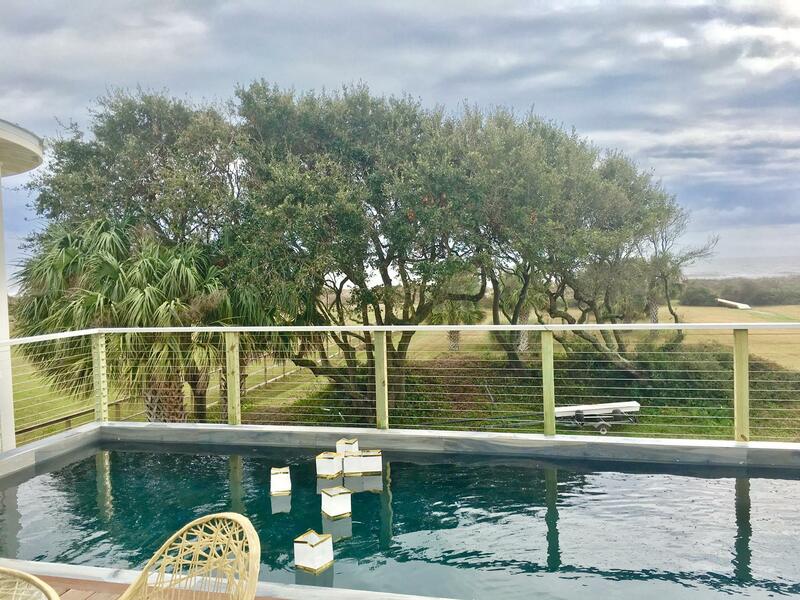 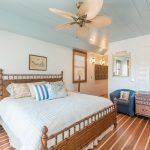 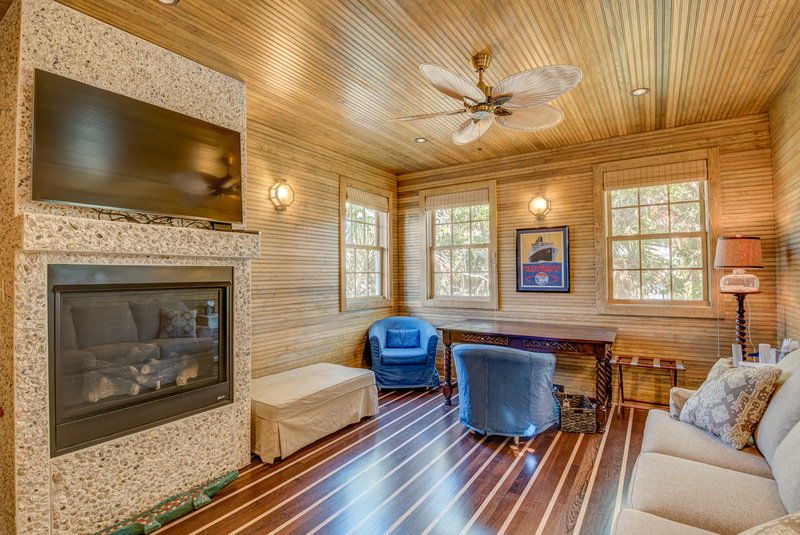 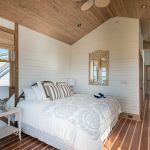 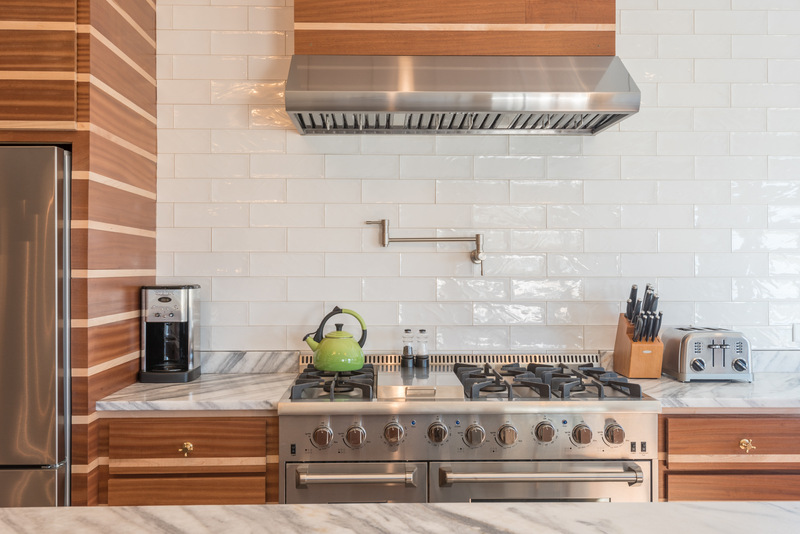 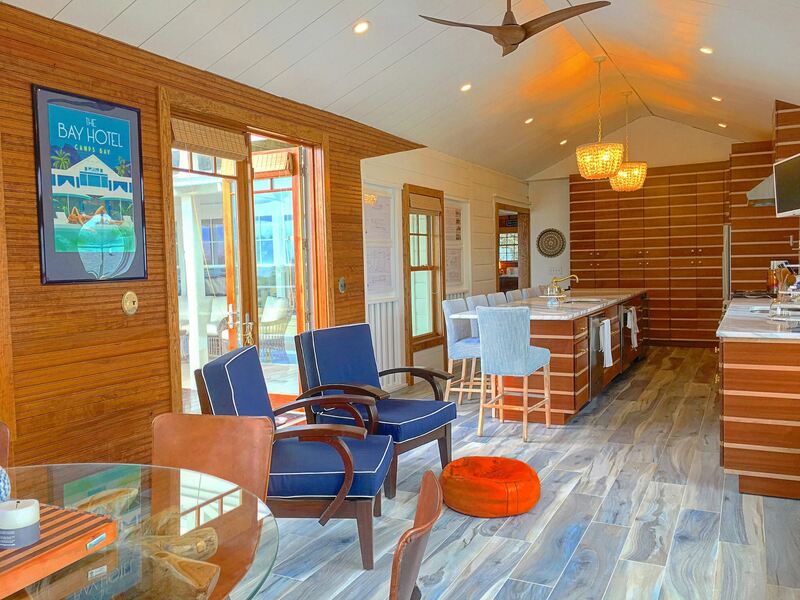 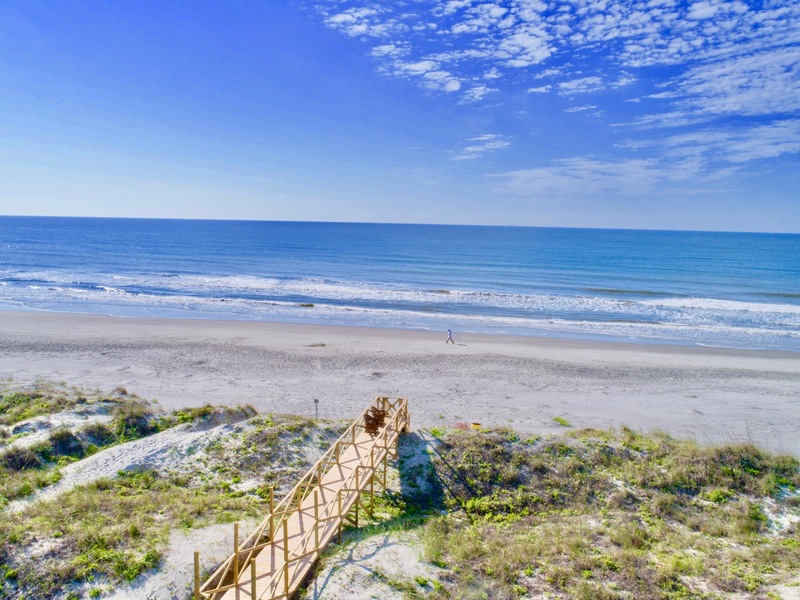 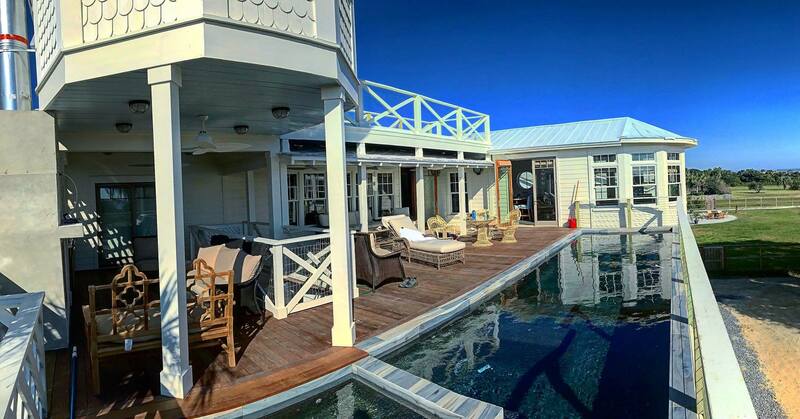 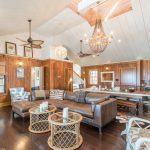 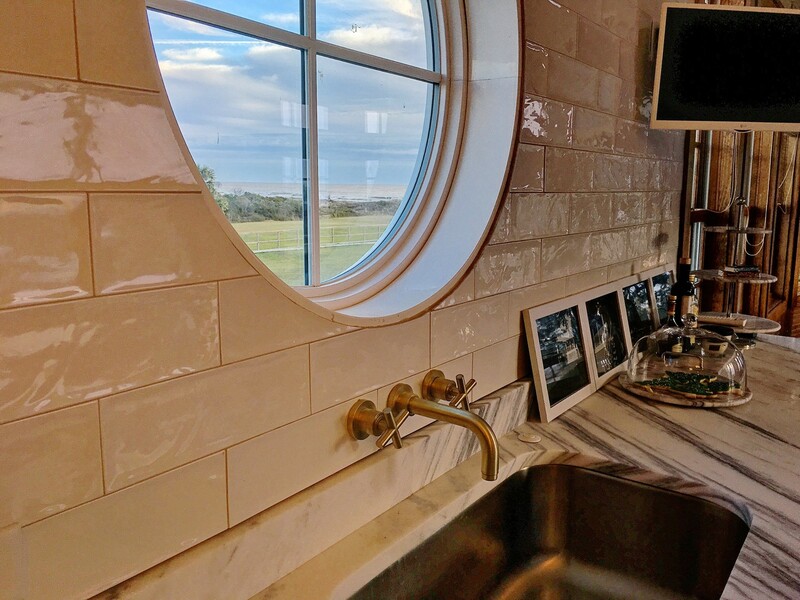 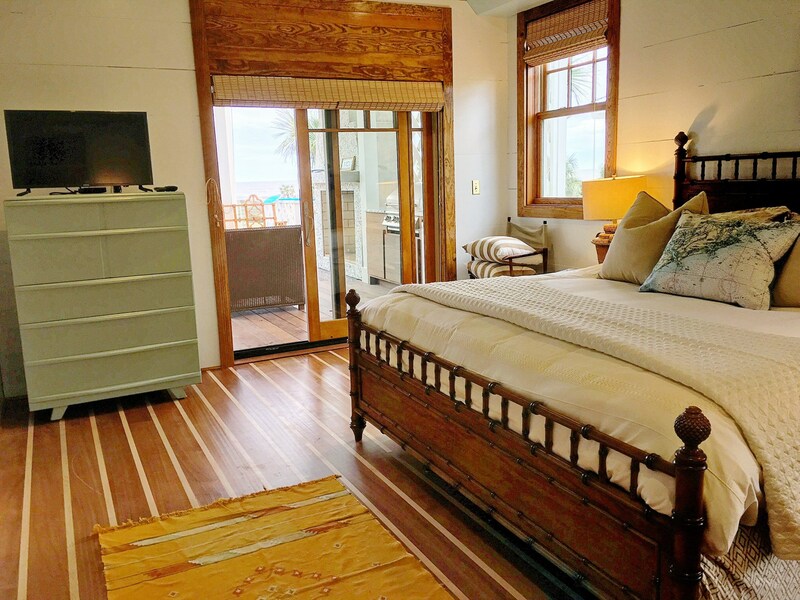 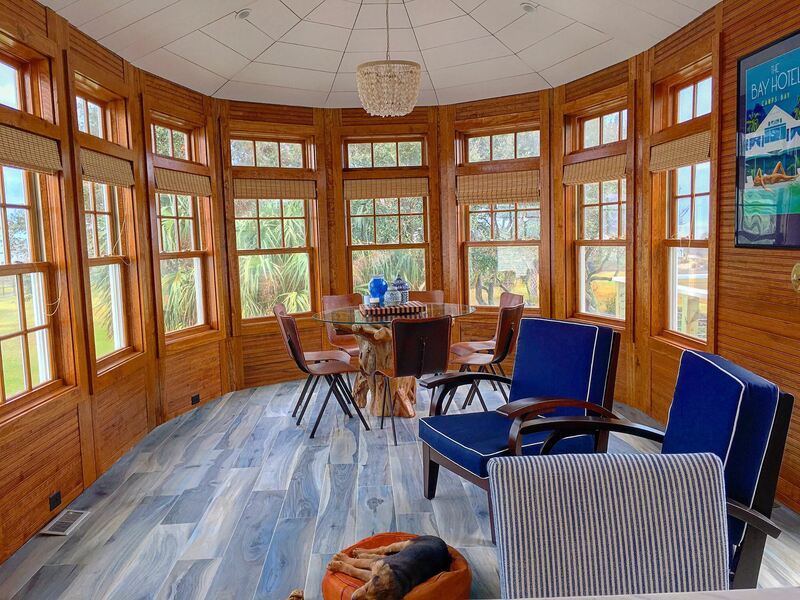 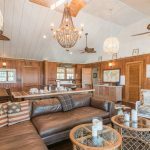 This is a rare vacation rental on the Isle of Palms – one of the last remaining, in tact historic Front Beach houses on the island. 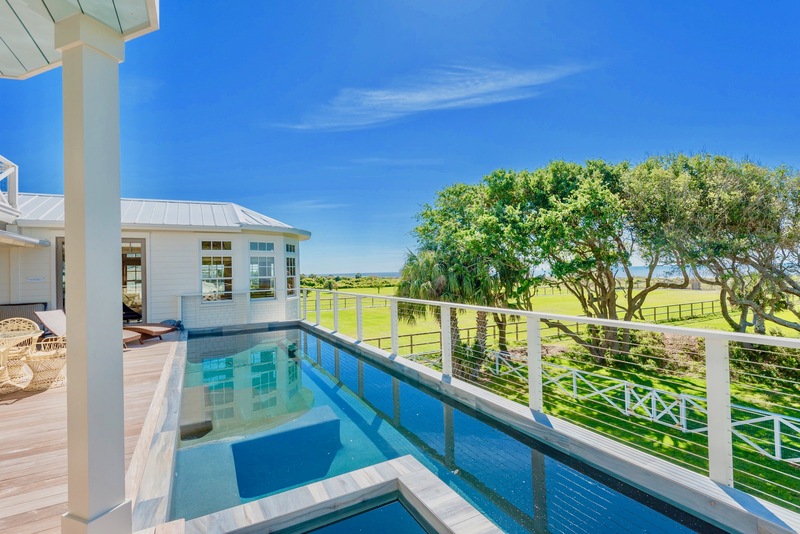 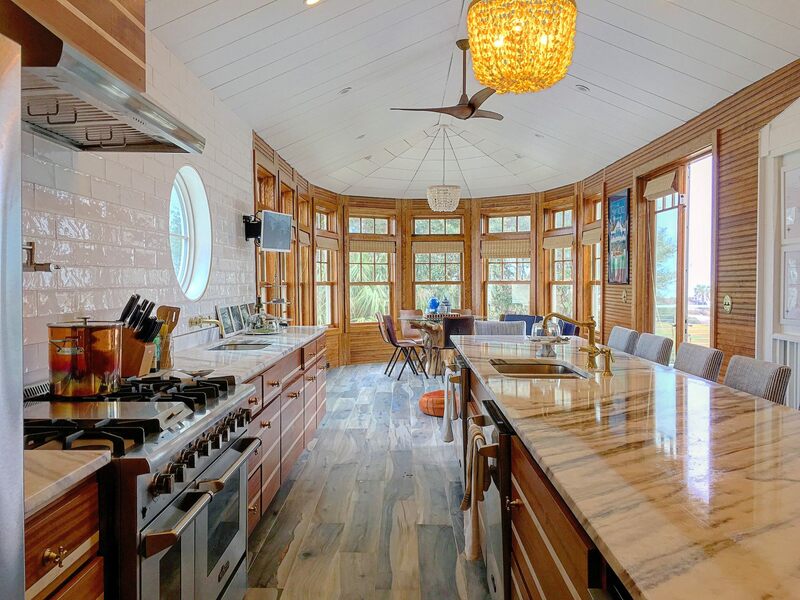 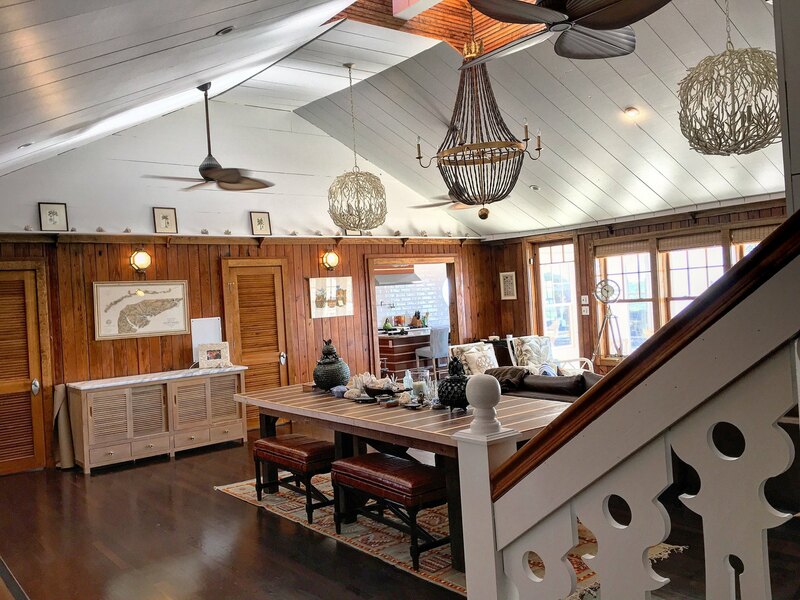 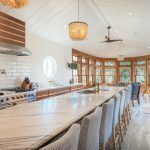 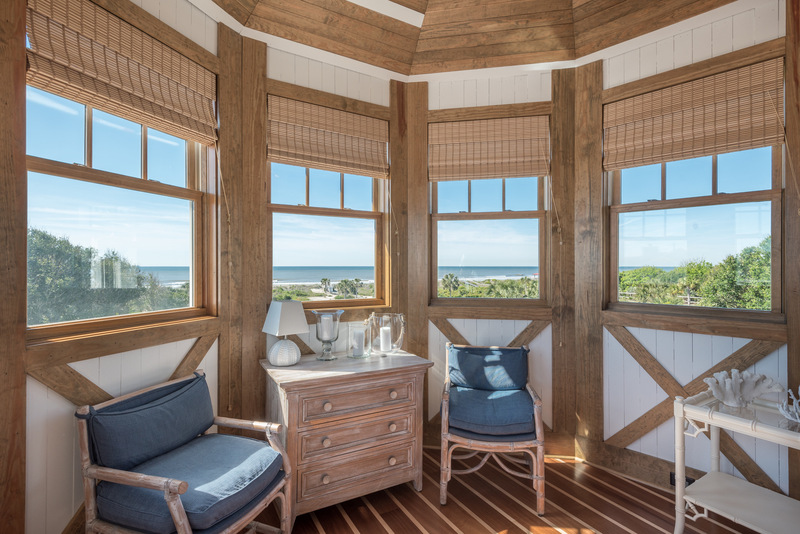 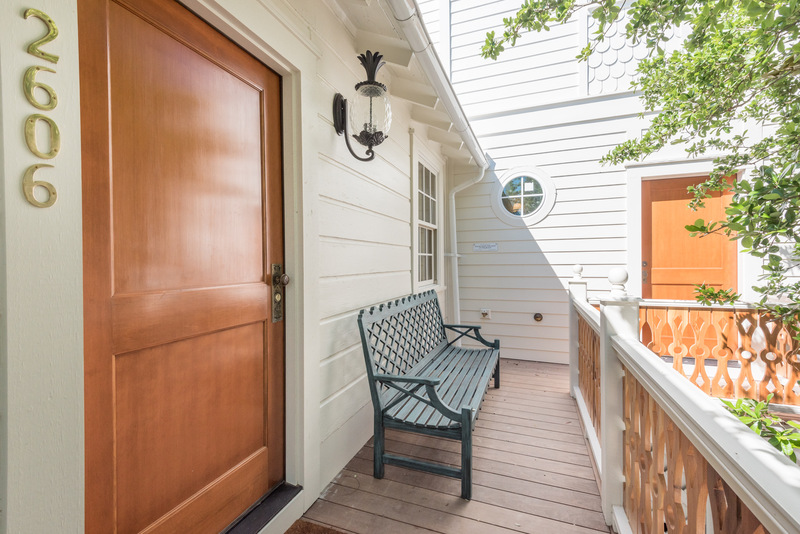 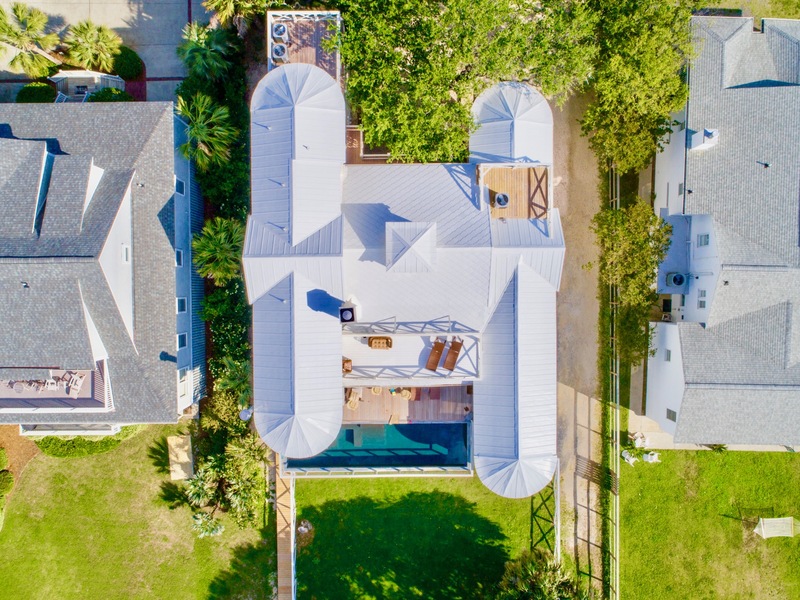 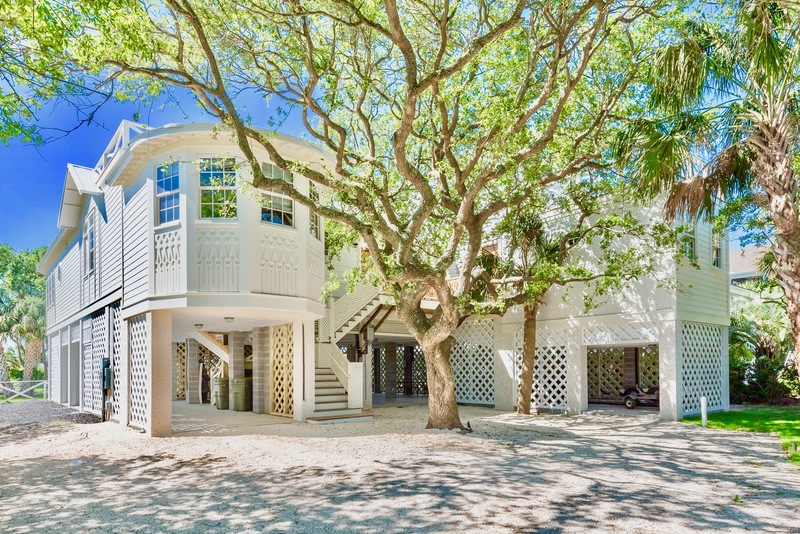 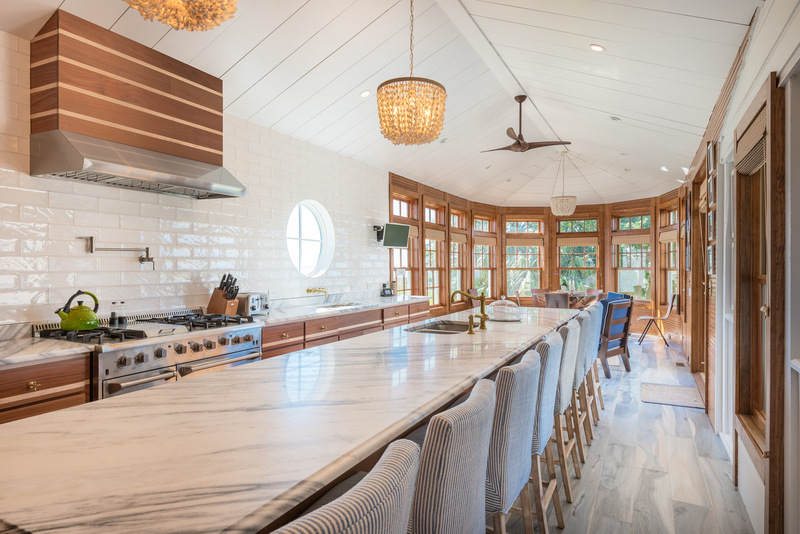 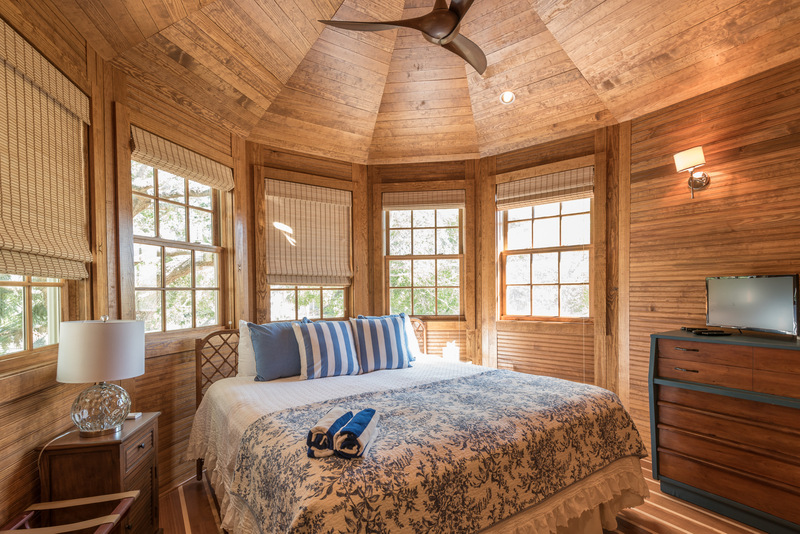 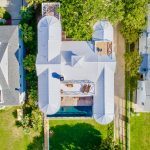 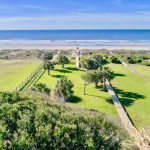 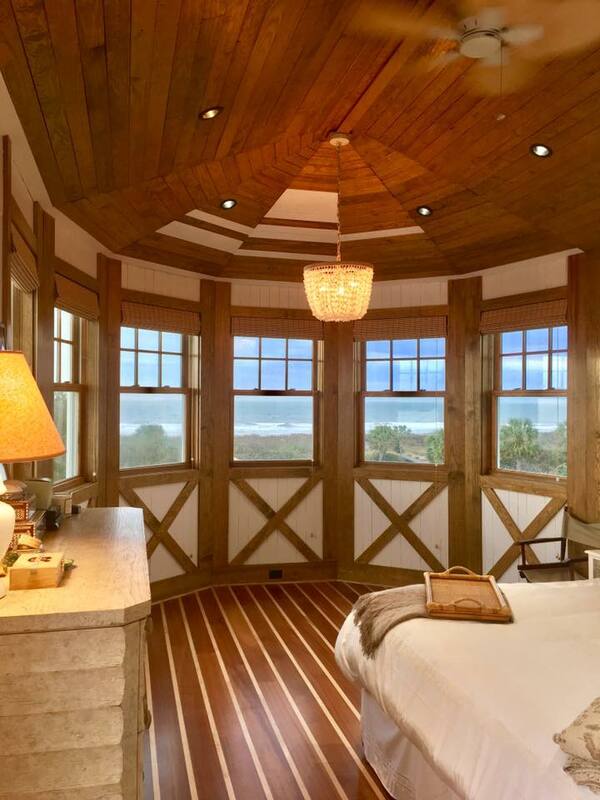 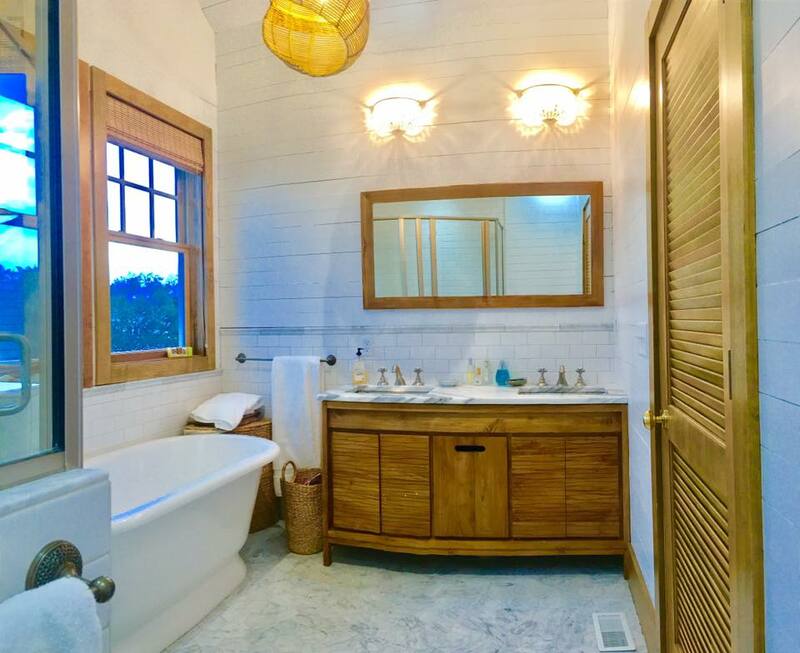 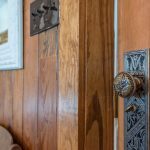 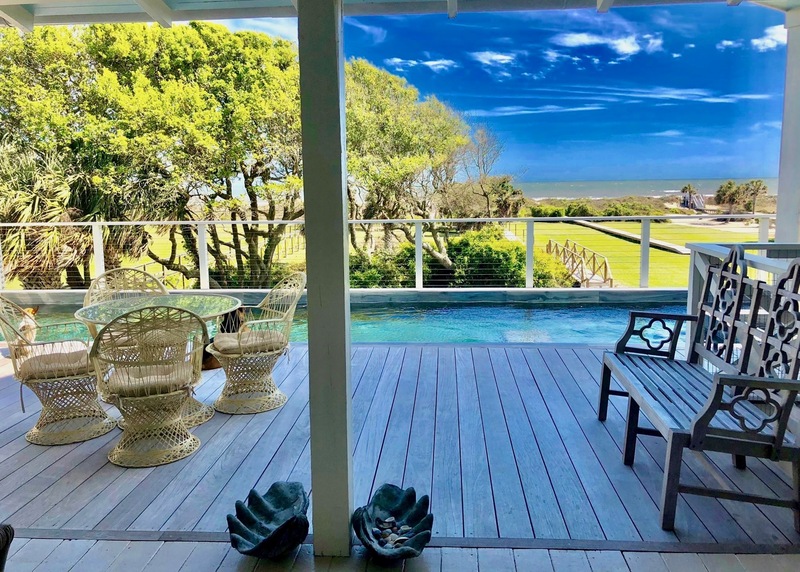 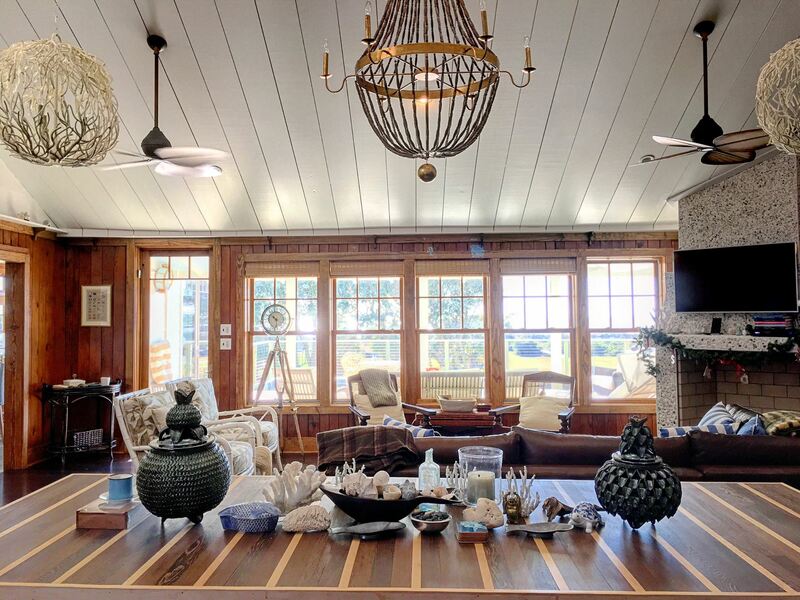 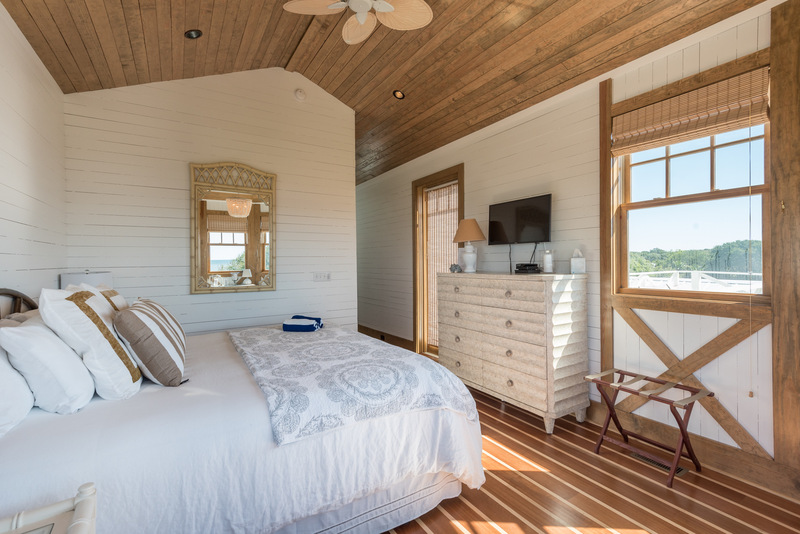 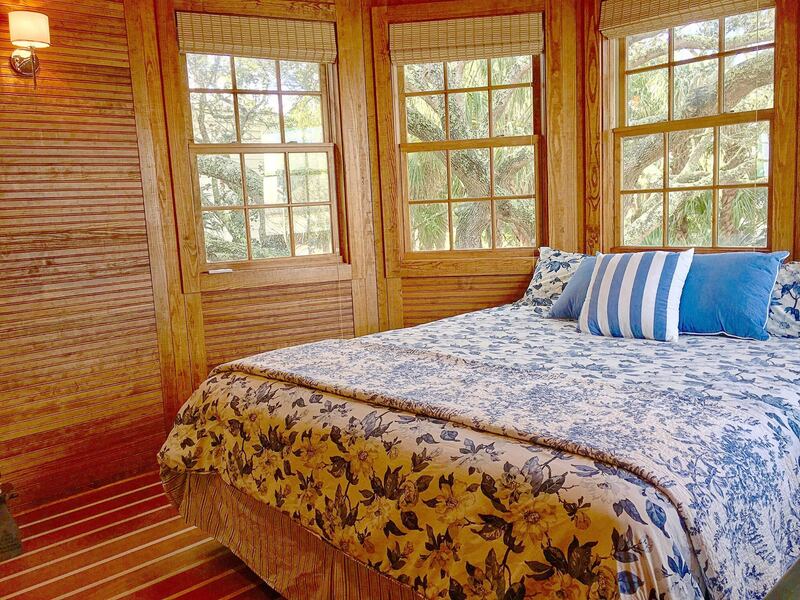 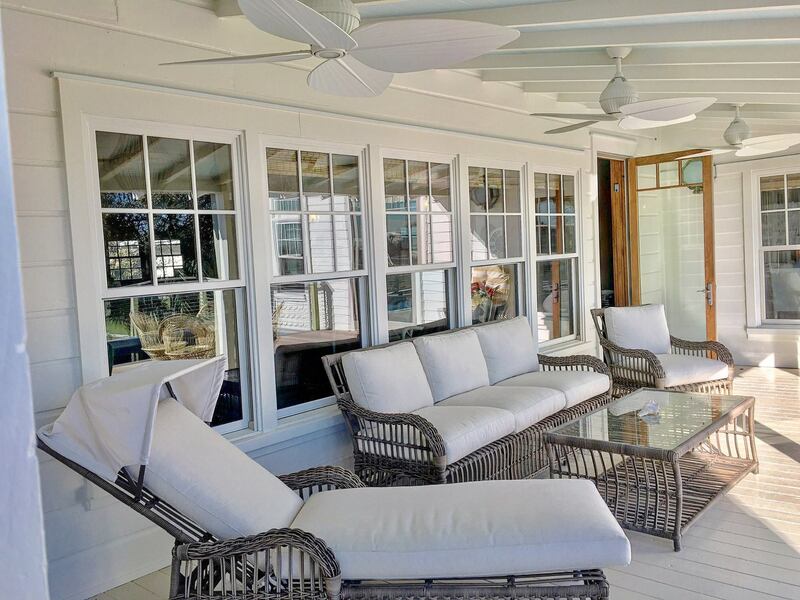 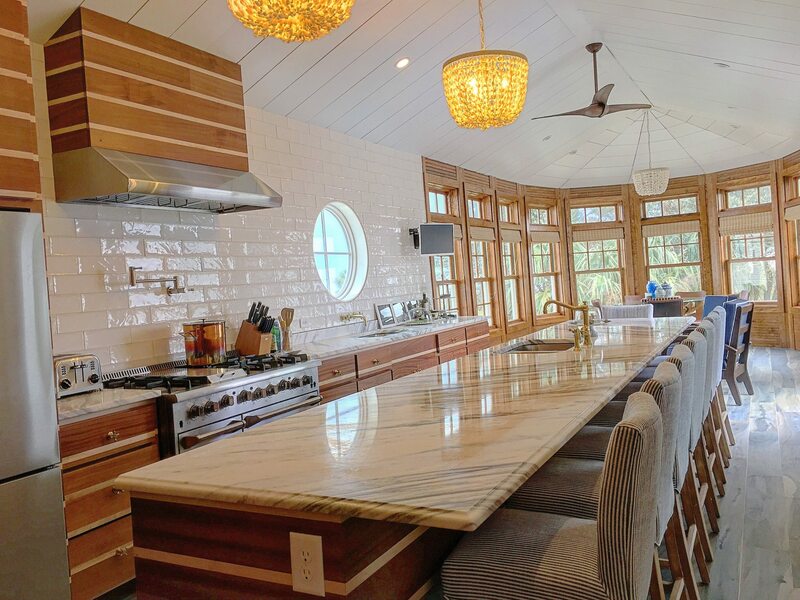 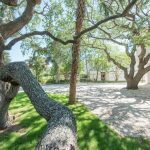 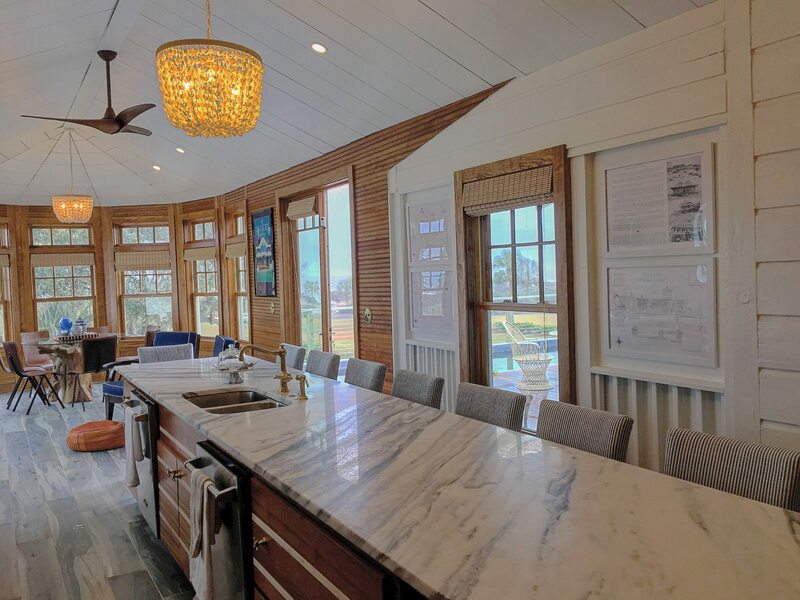 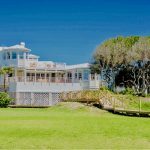 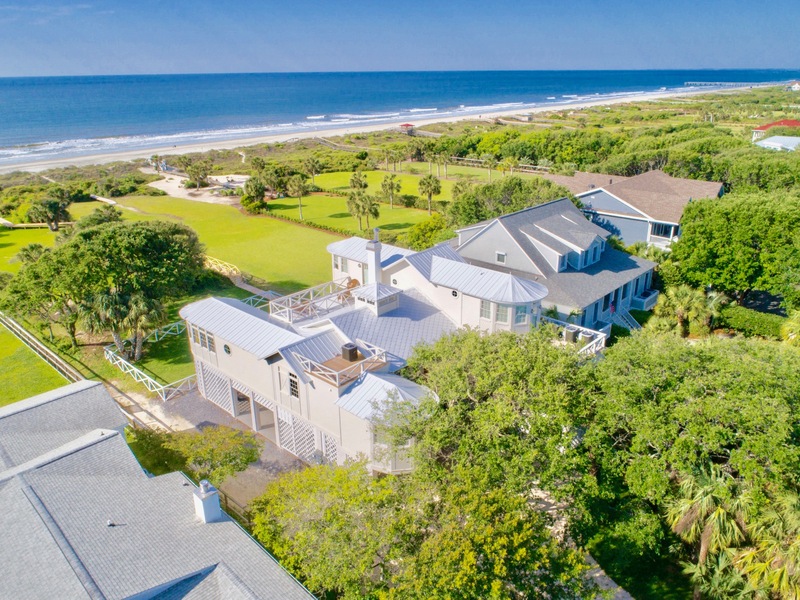 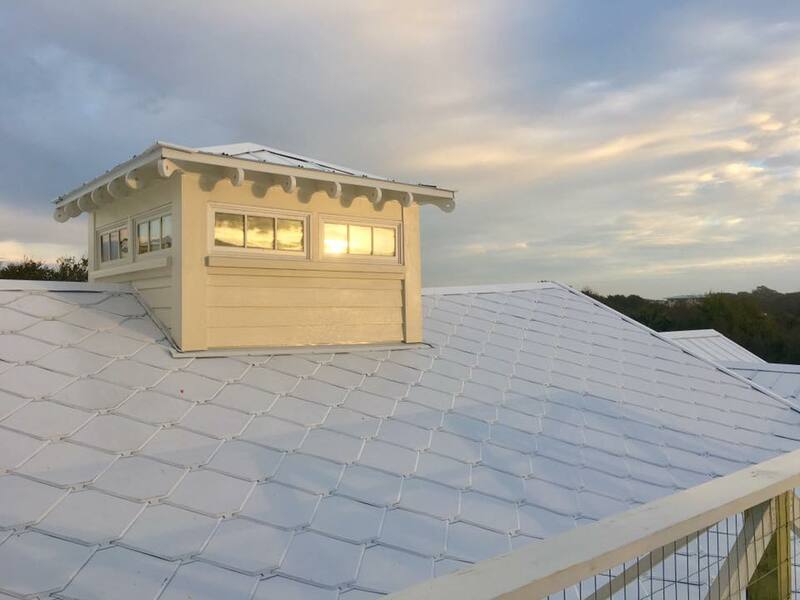 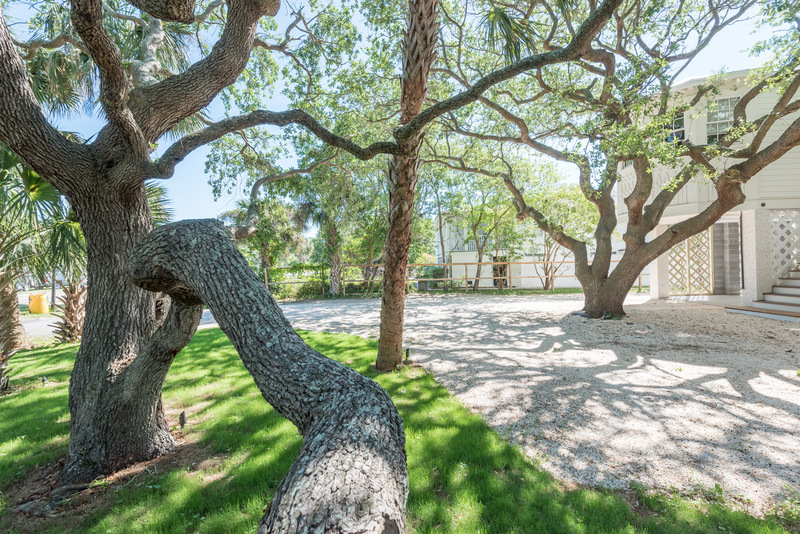 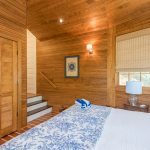 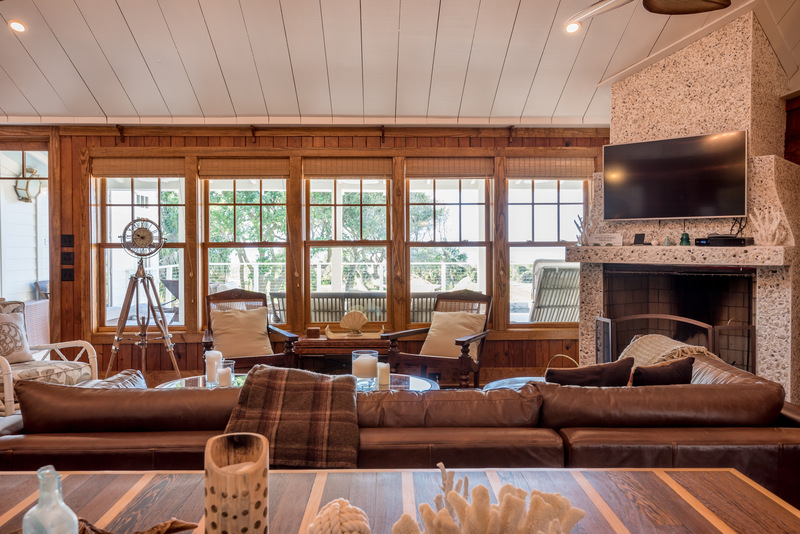 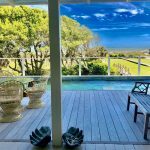 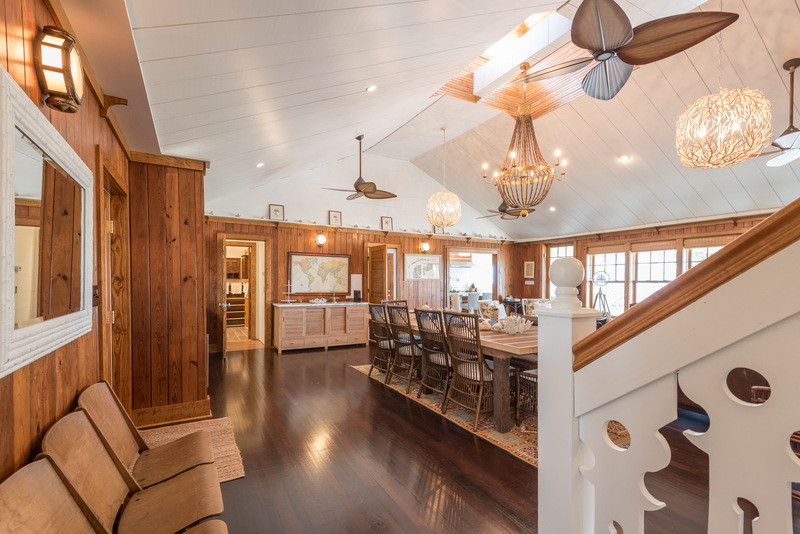 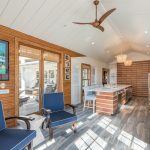 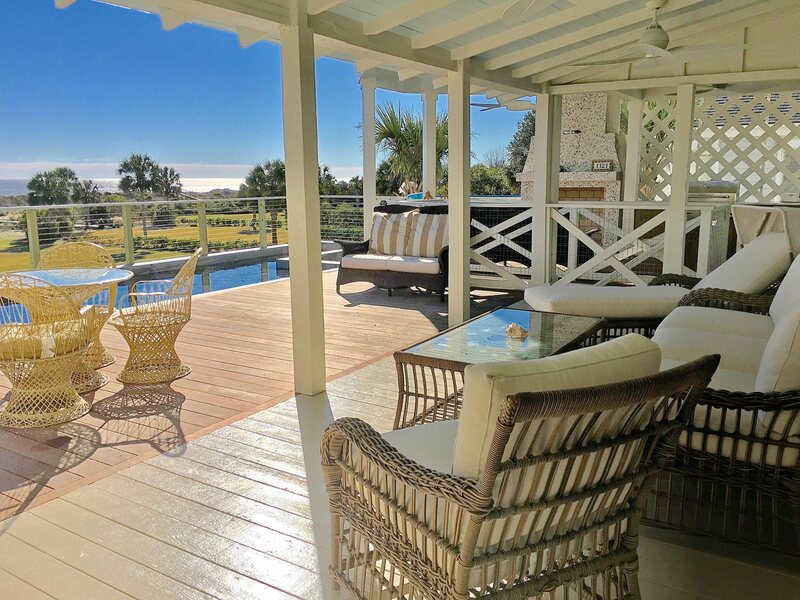 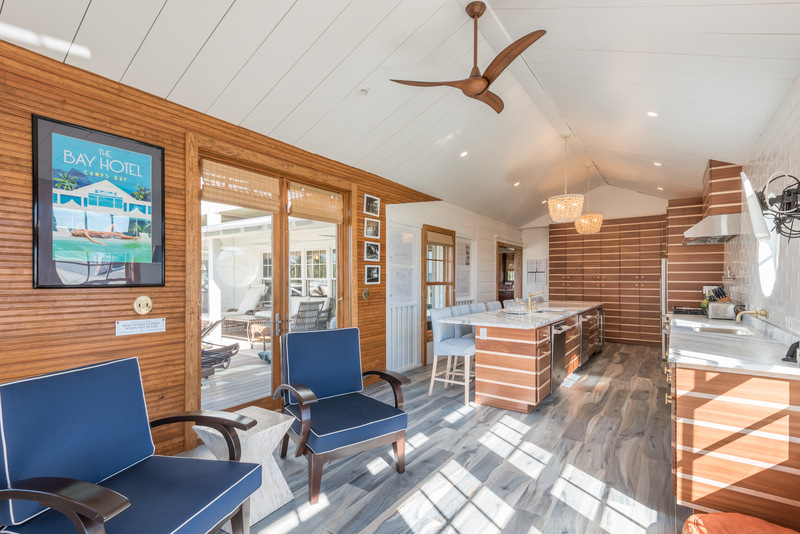 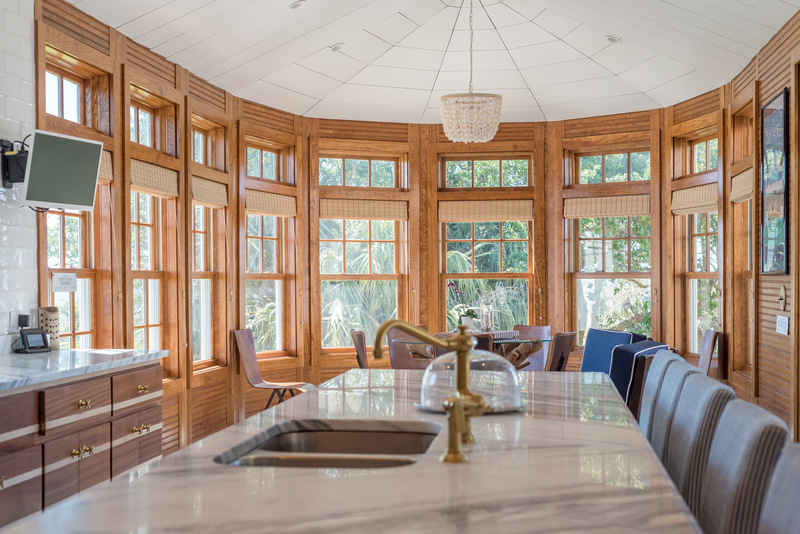 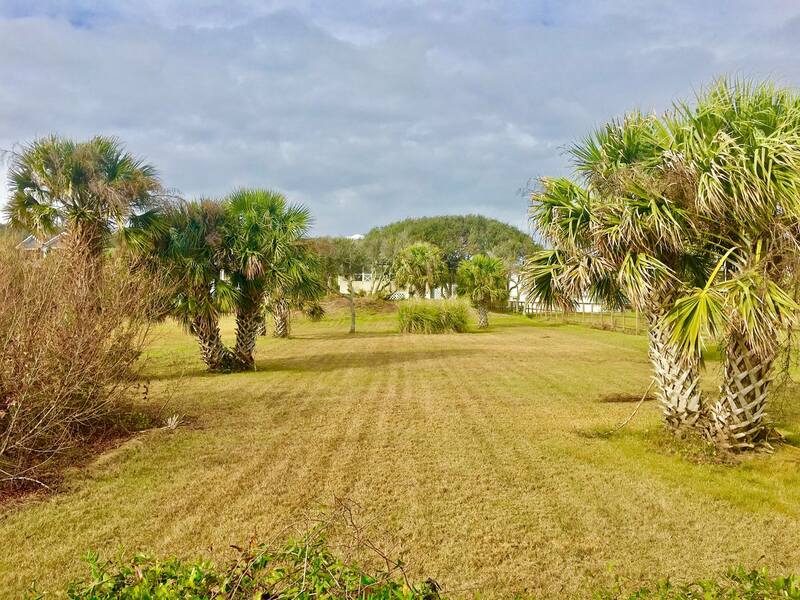 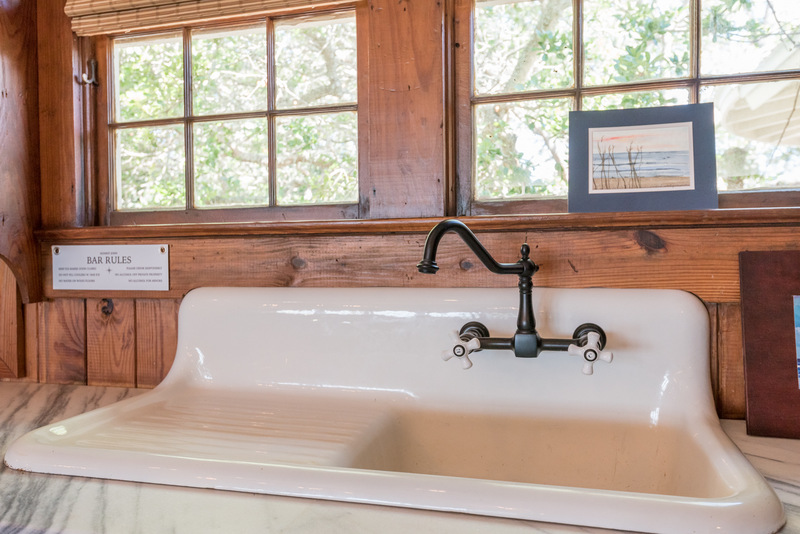 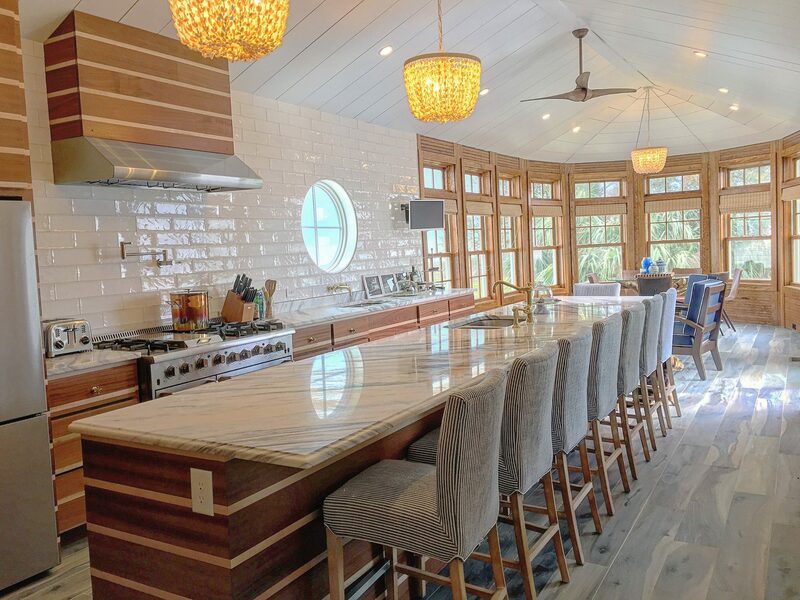 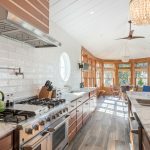 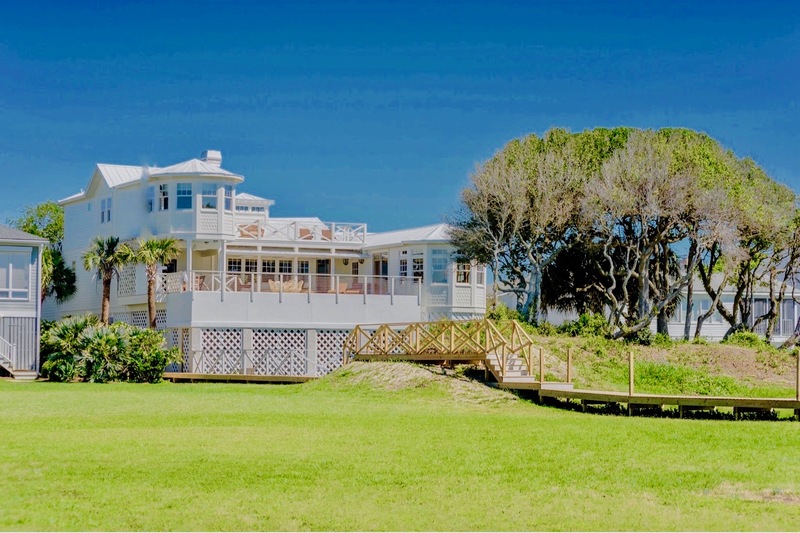 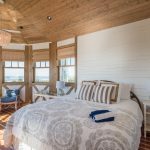 Originally built in 1900 and Oriented on a sprawling acre lot, lush with Live Oak and Palm, this original beach cottage has been expanded into a true Oceanfront compound, with two newly constructed wings that graciously expand the original footprint and offering ample space for family and friends. 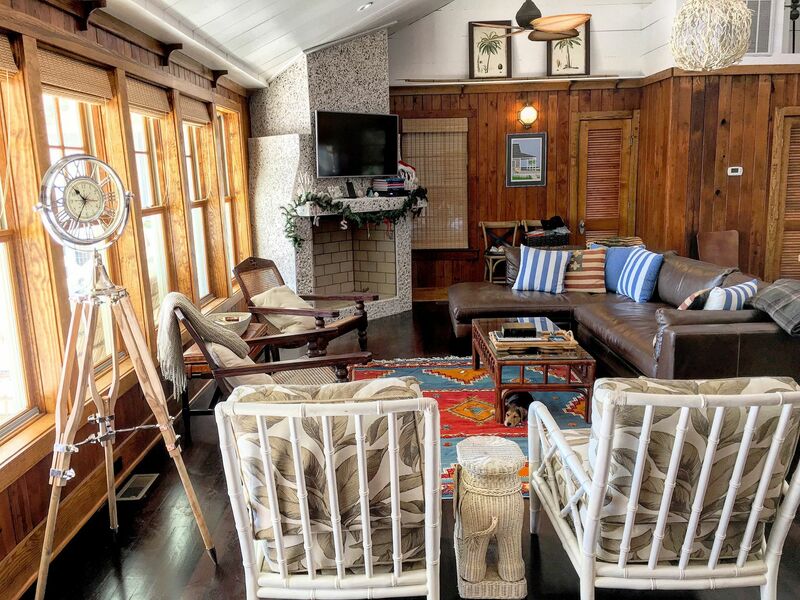 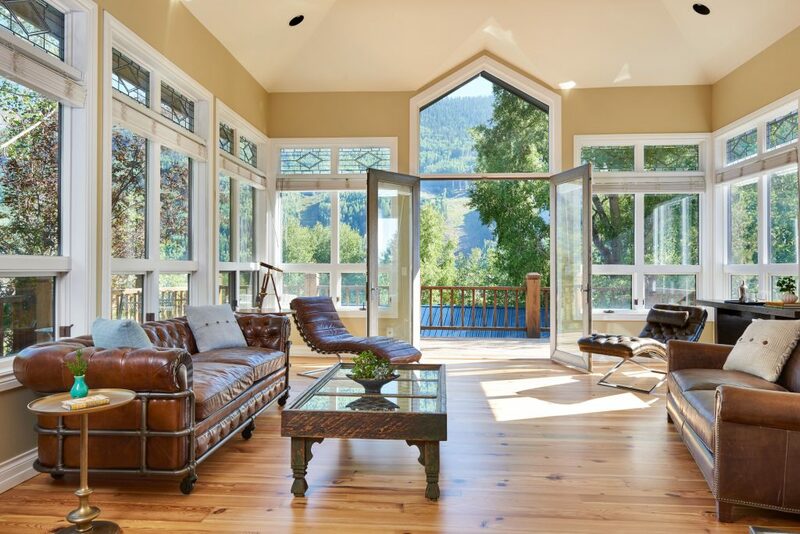 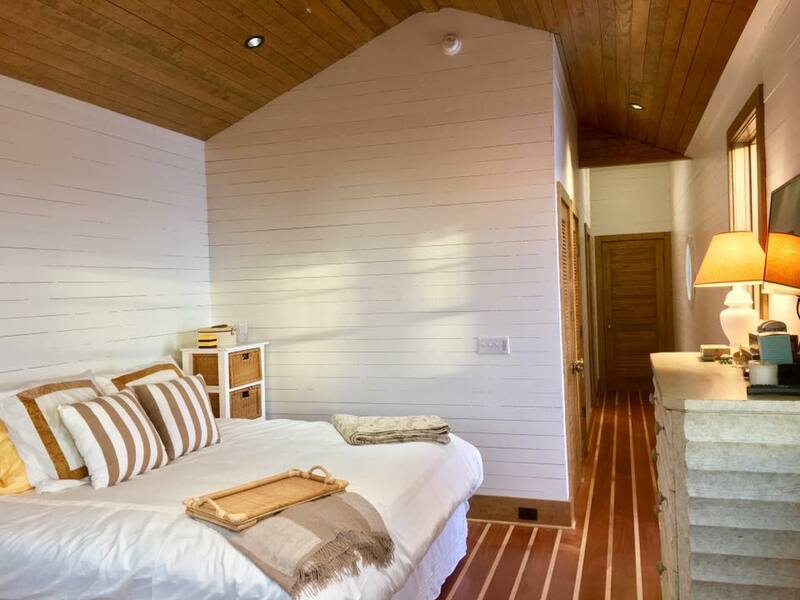 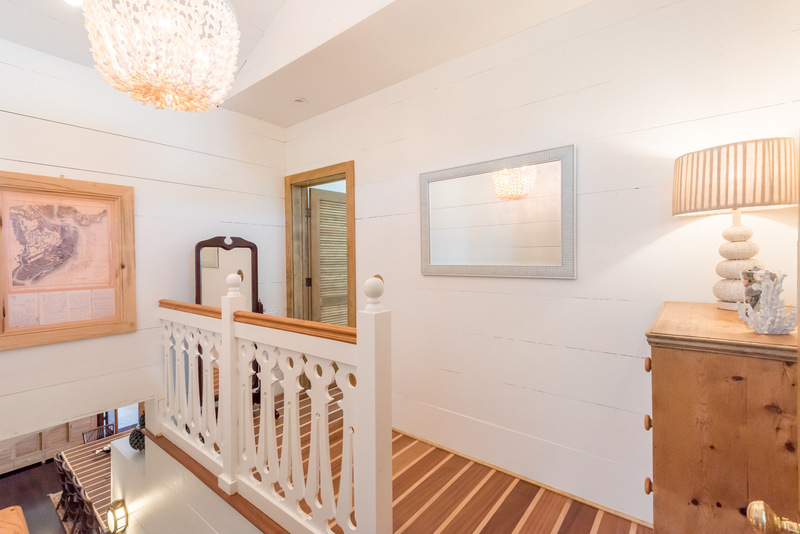 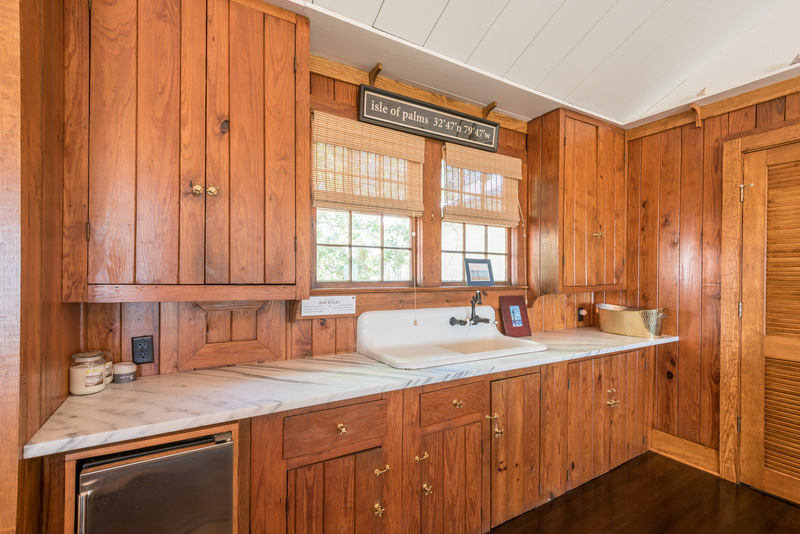 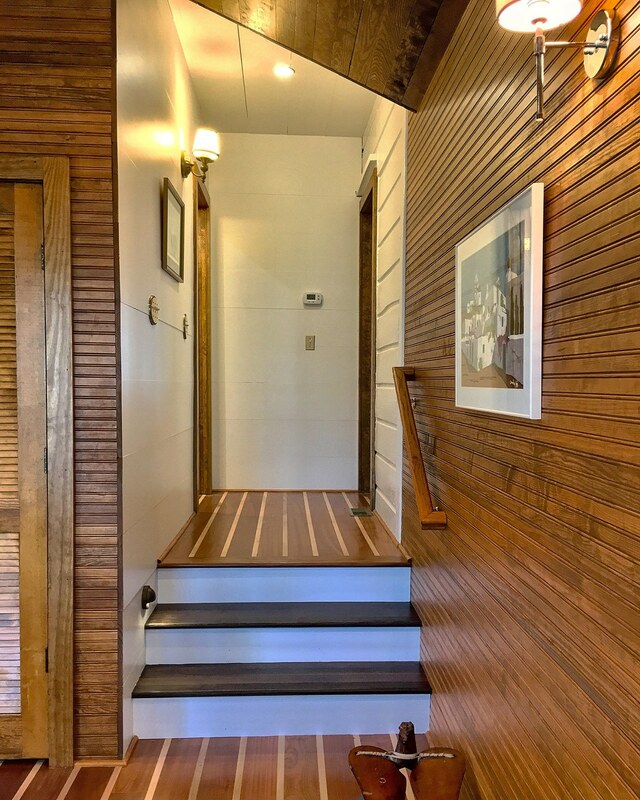 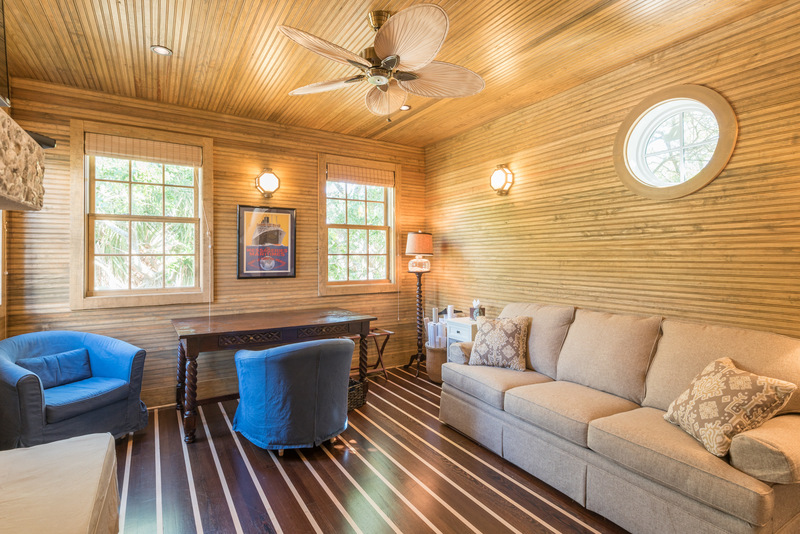 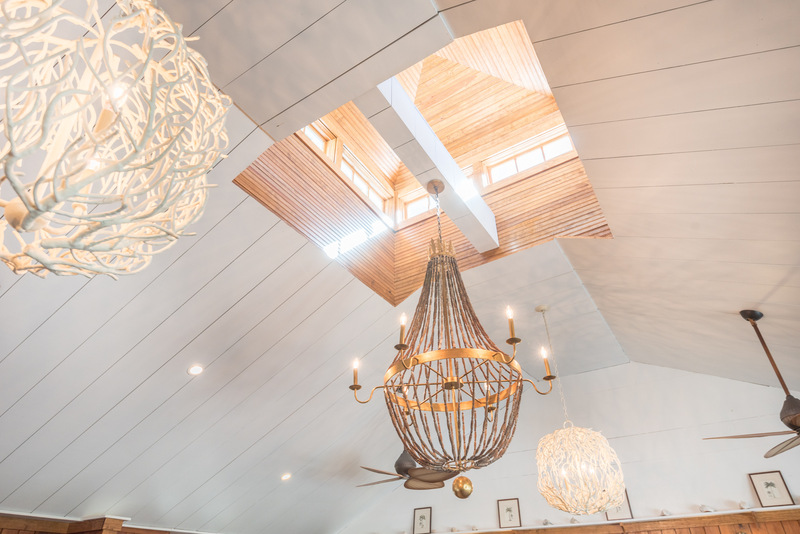 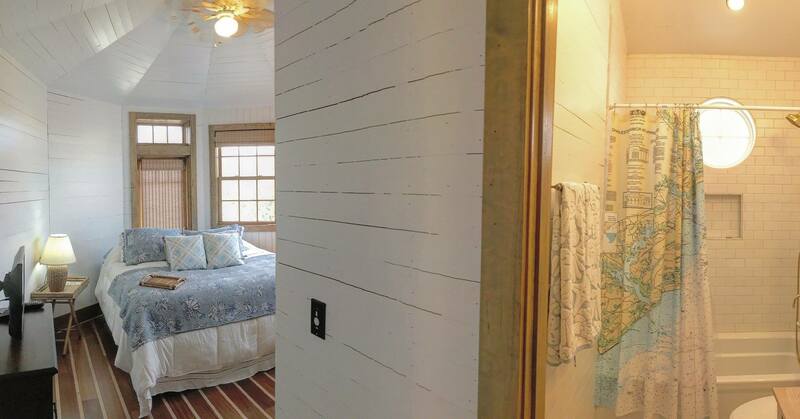 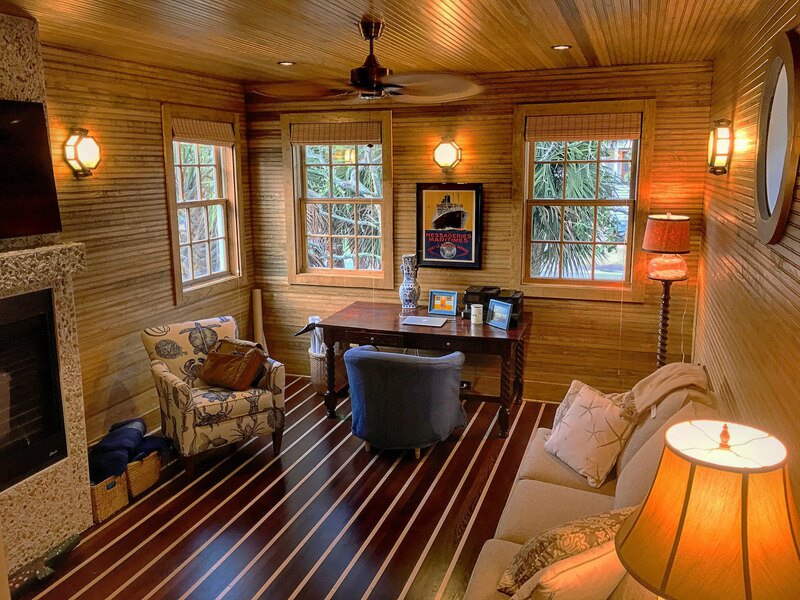 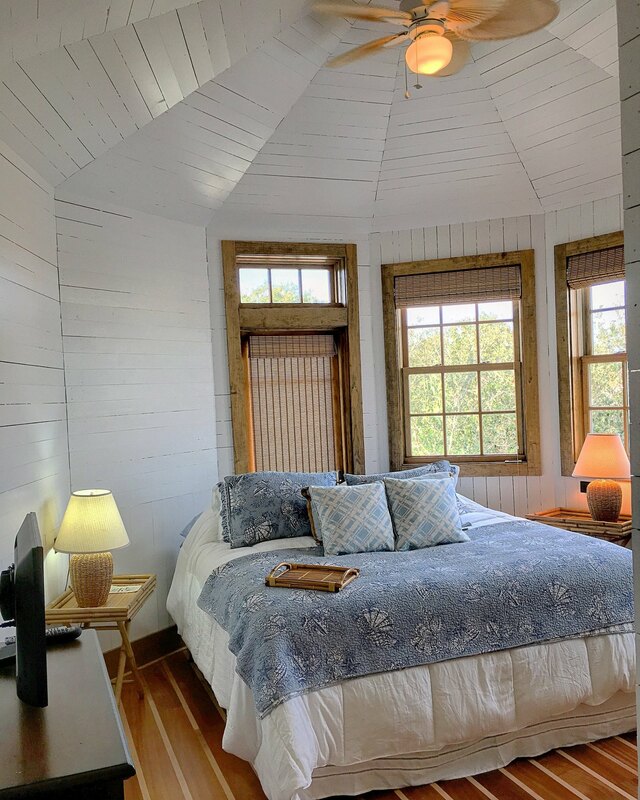 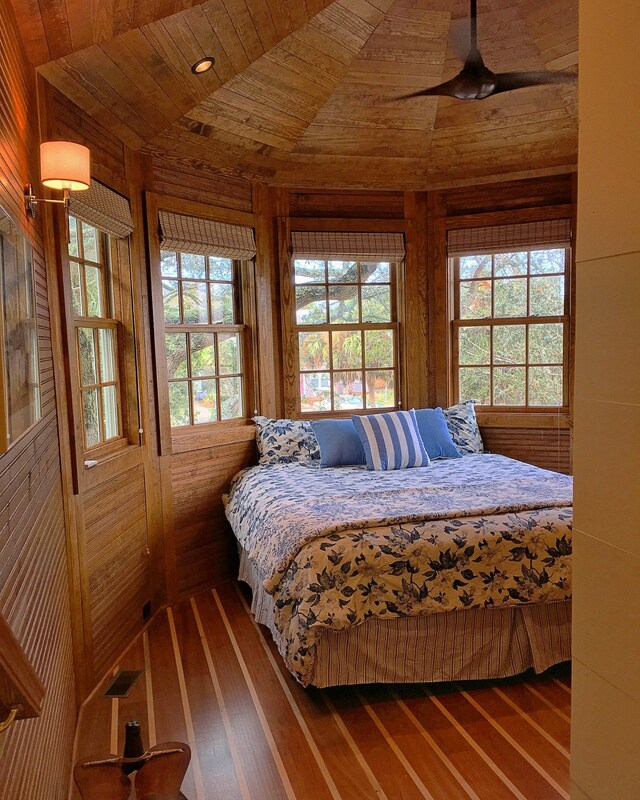 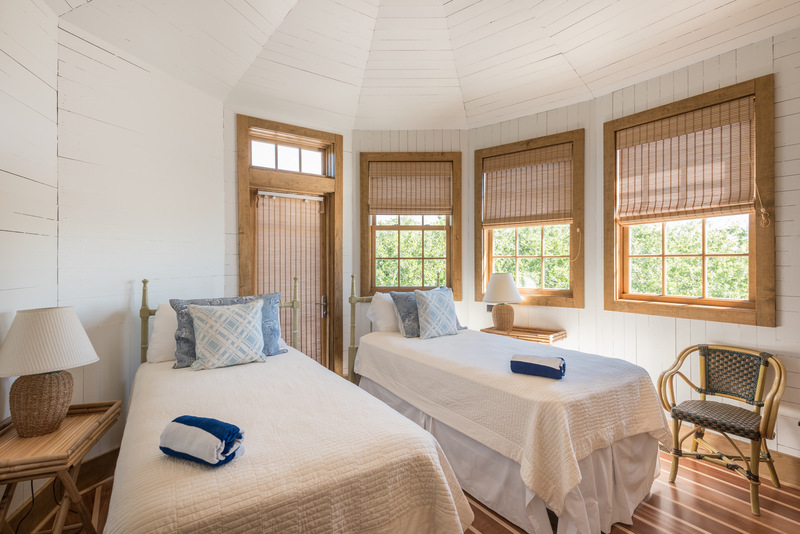 The Main original cottage offers an 1,000 SF Great Room, with lofty gabled ceiling and plentiful seating for all. 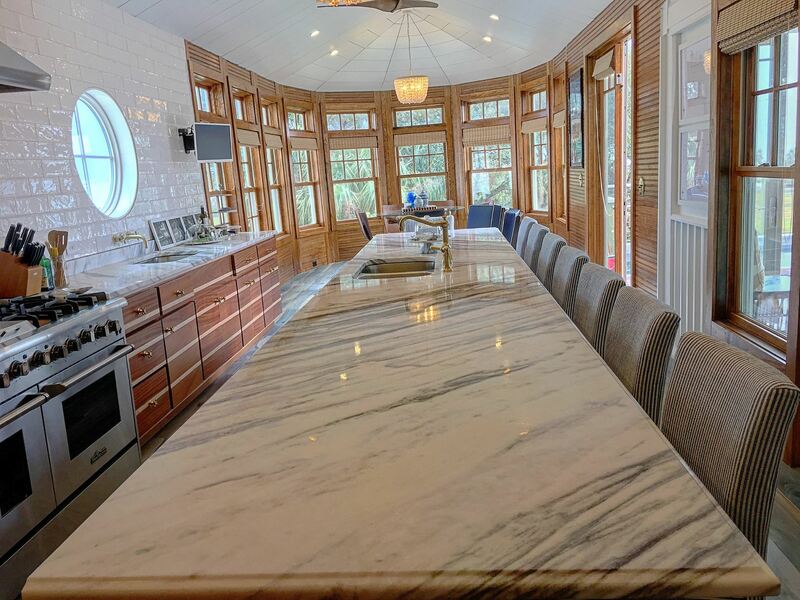 Interior Dining table seats over 20 people. 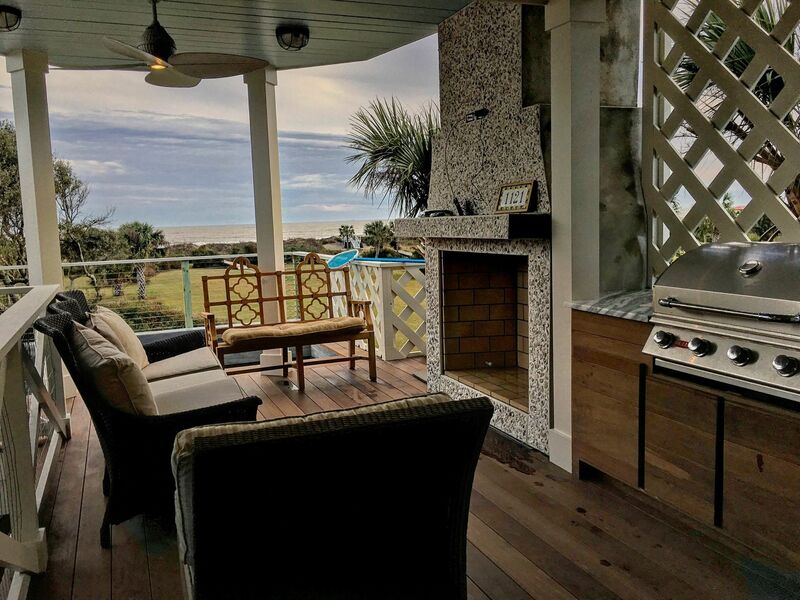 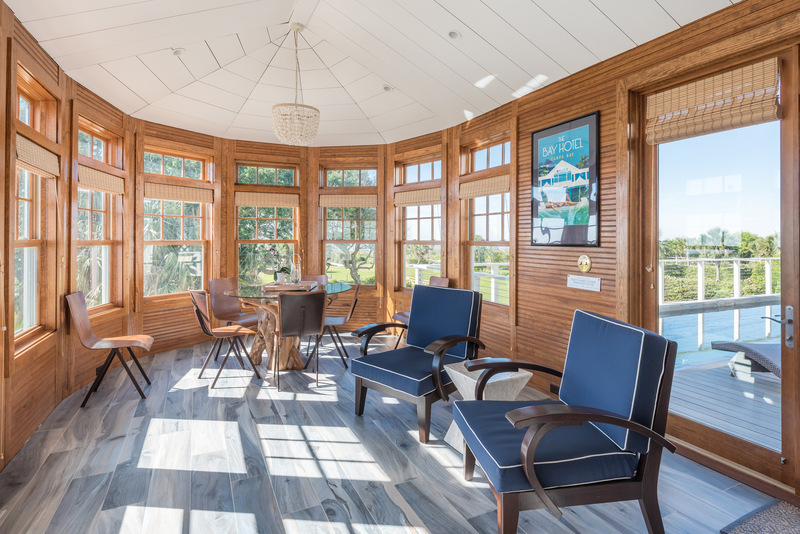 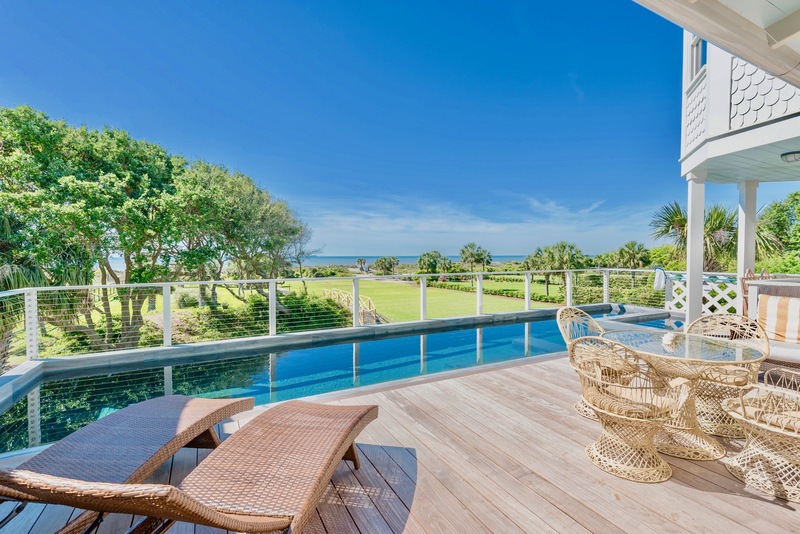 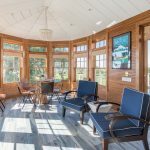 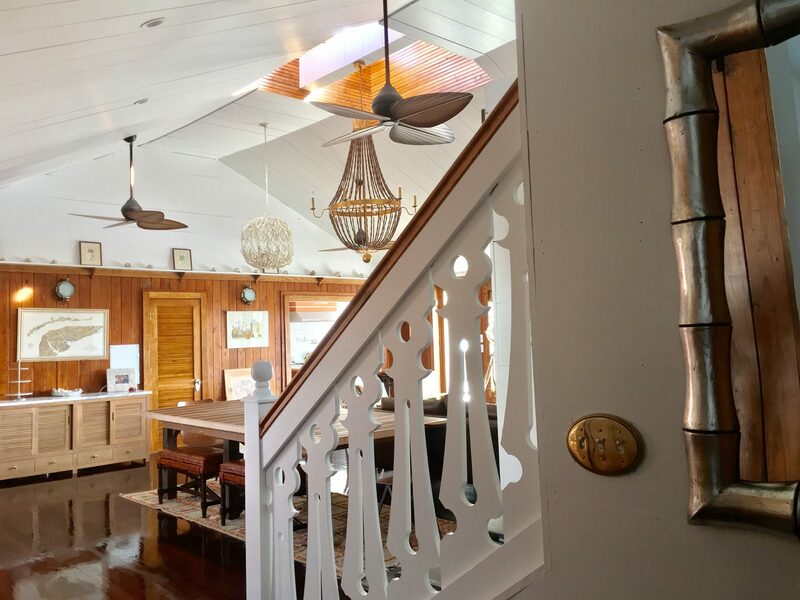 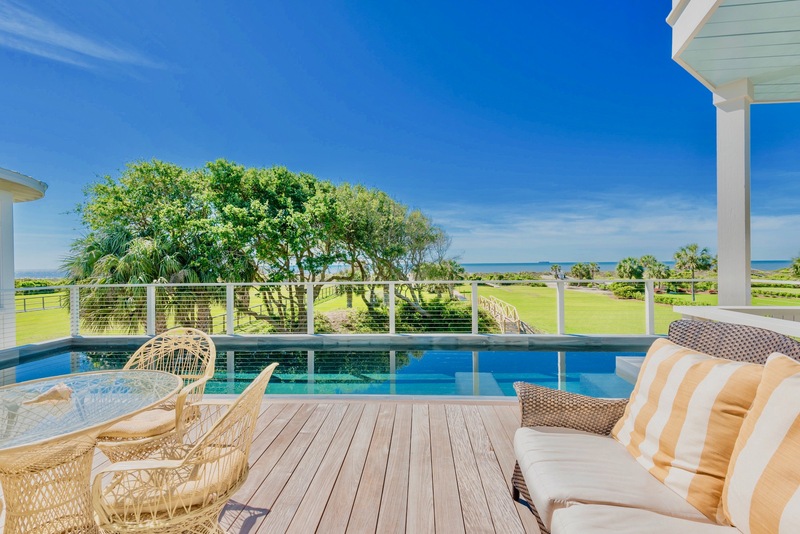 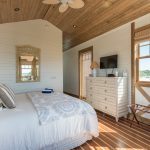 The Great Room opens up to the Elevated swimming Pool, original porch and sun deck, all overlooking the Ocean, at this Front Beach Location. 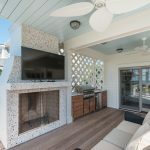 Outdoor Cabana with Fireplace, TV, & plentiful seating. 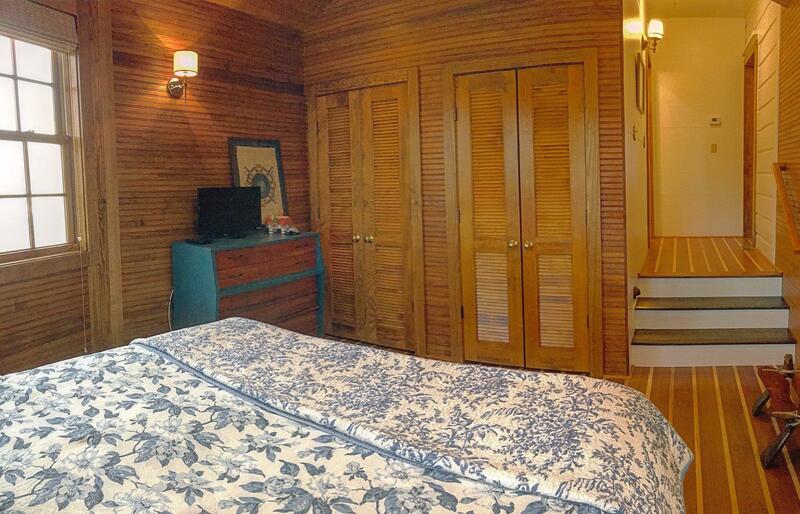 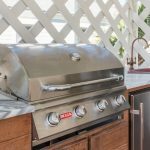 With 5 bedrooms and 4.5 baths privately oriented in the new addition wings, guests can spread out. 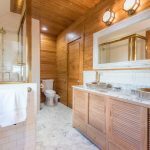 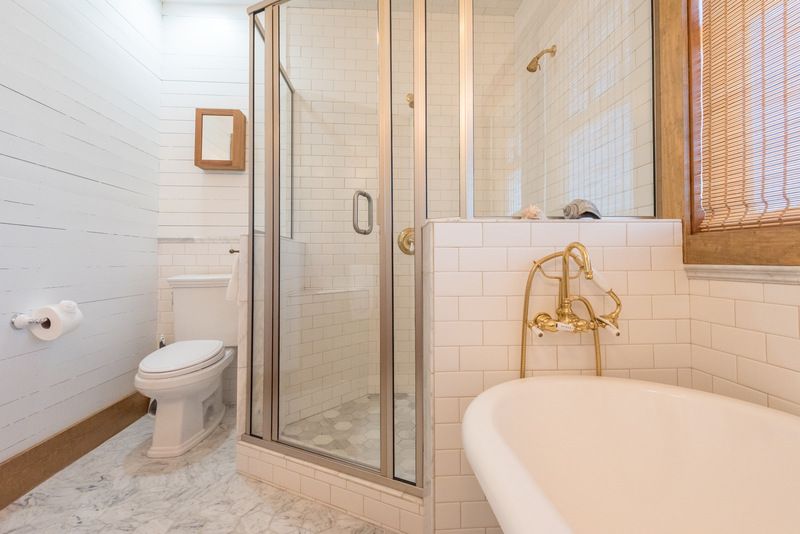 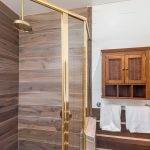 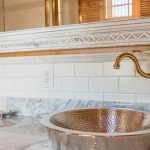 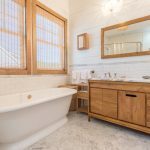 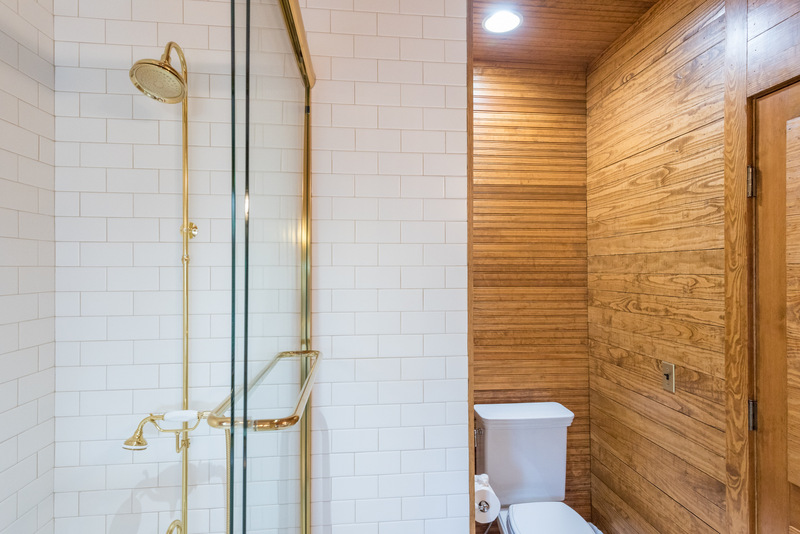 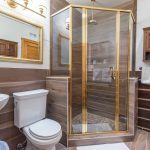 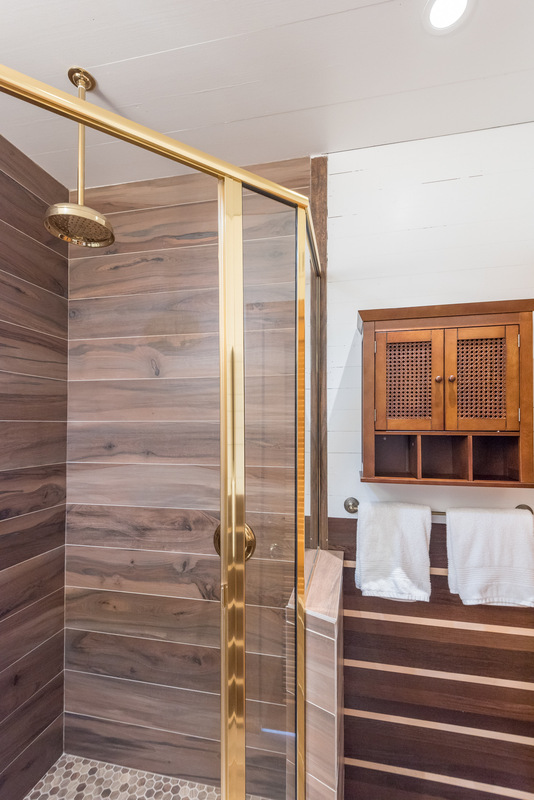 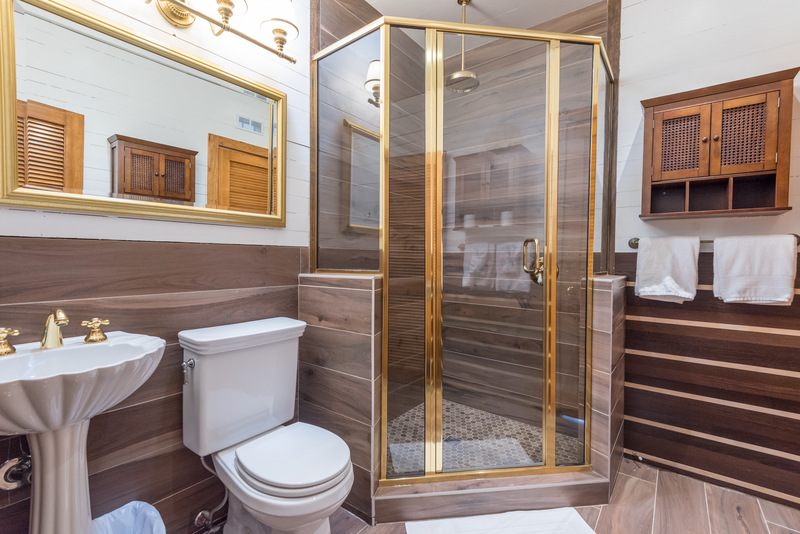 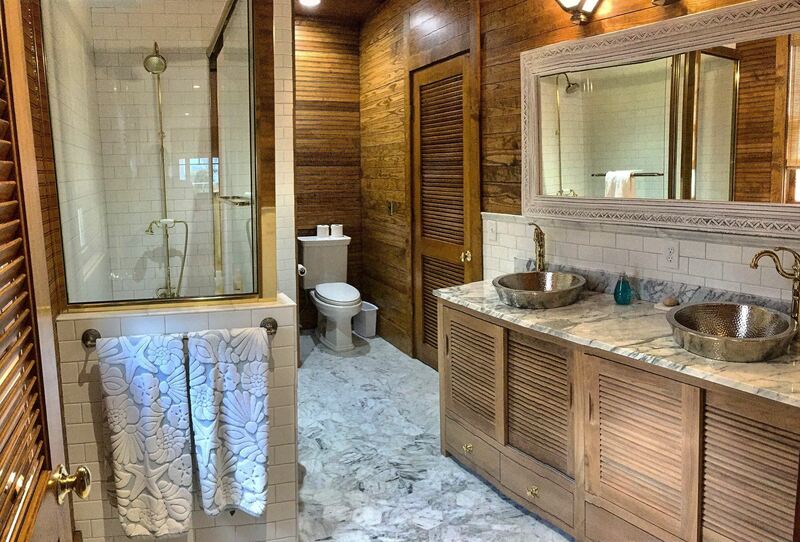 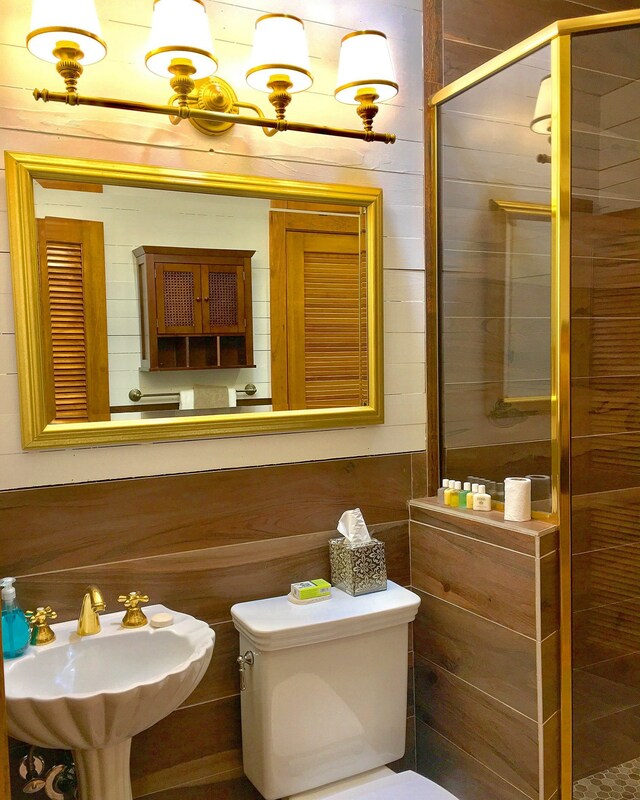 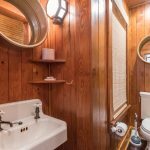 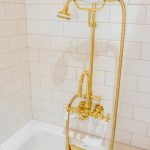 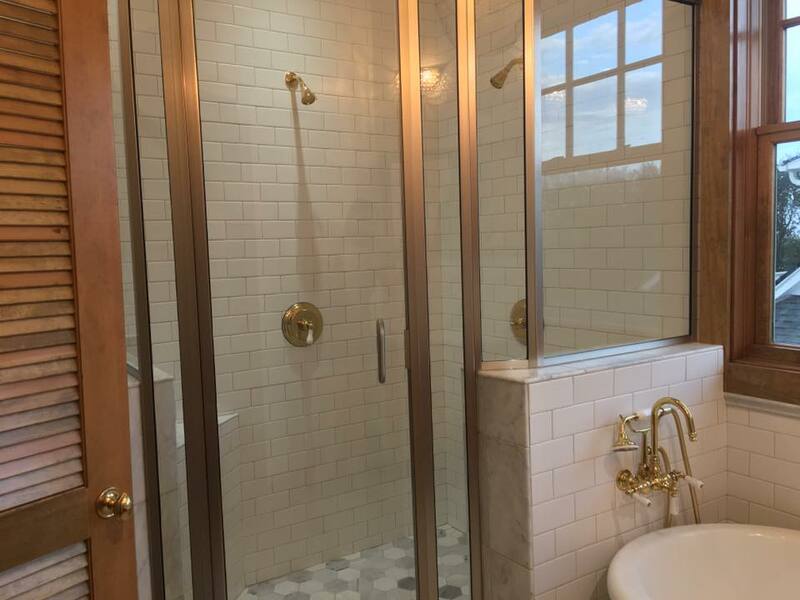 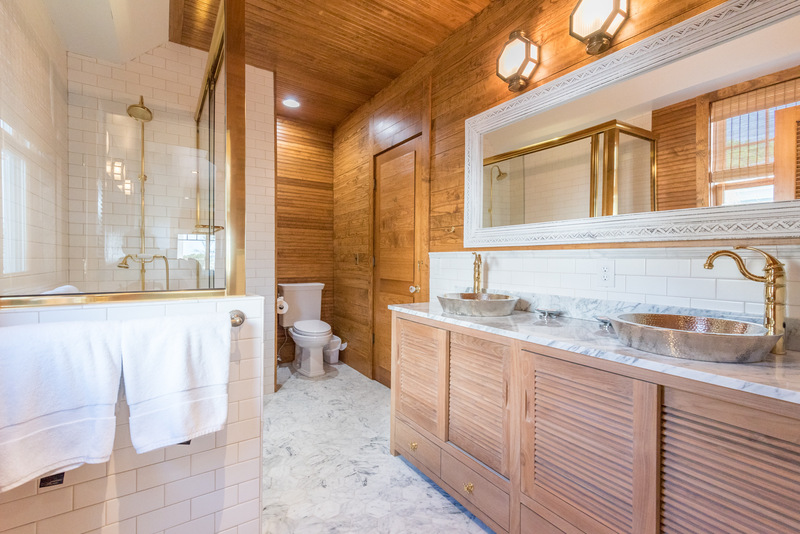 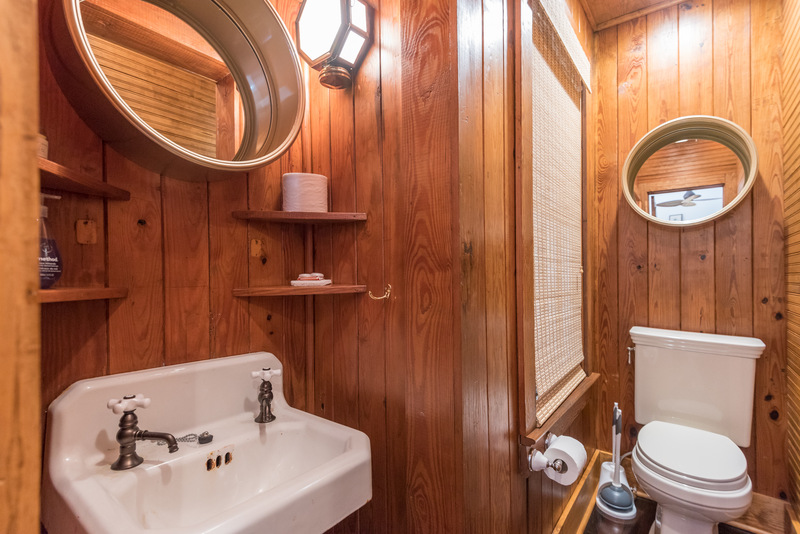 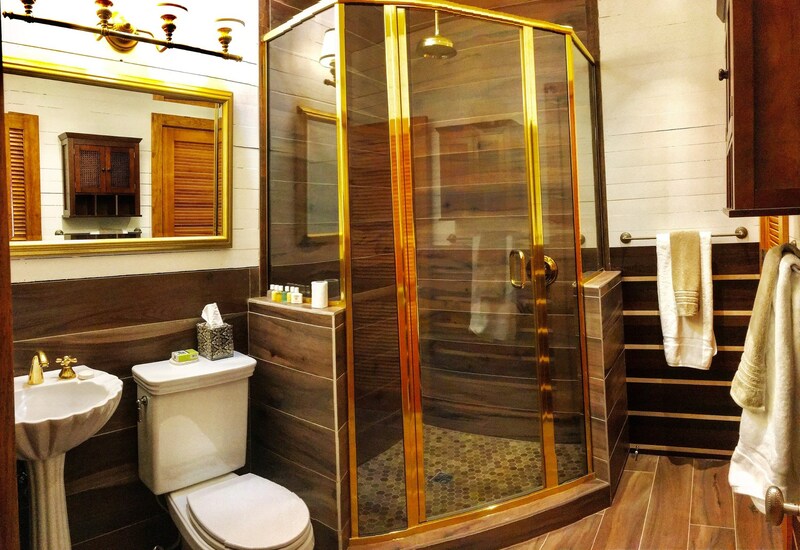 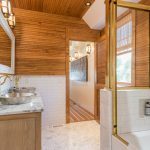 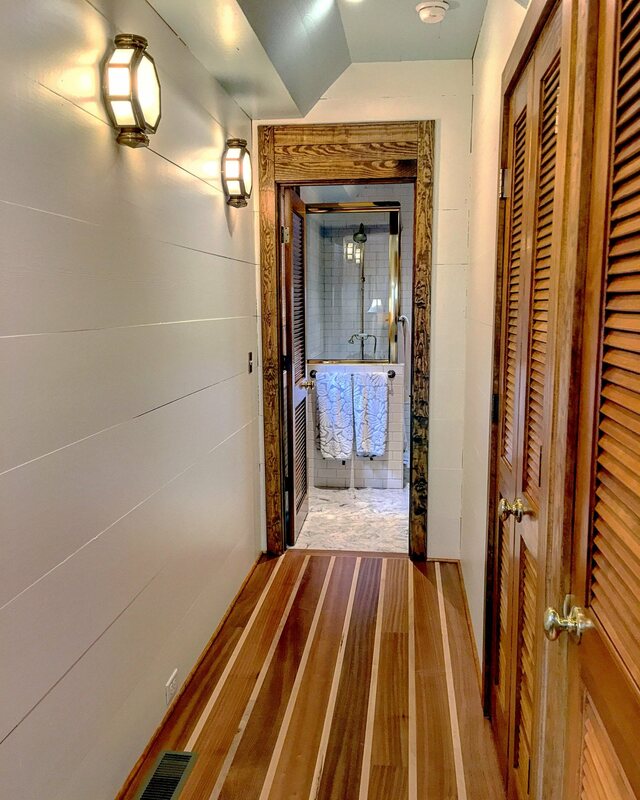 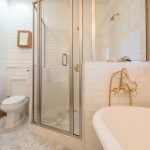 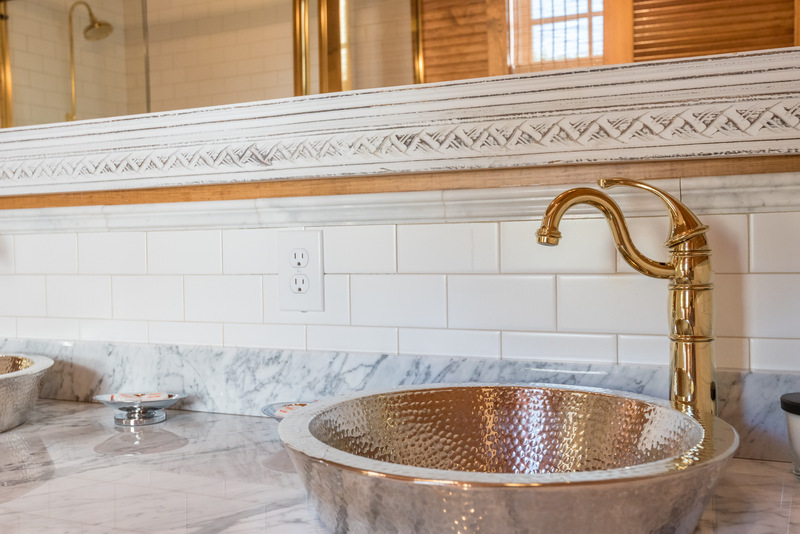 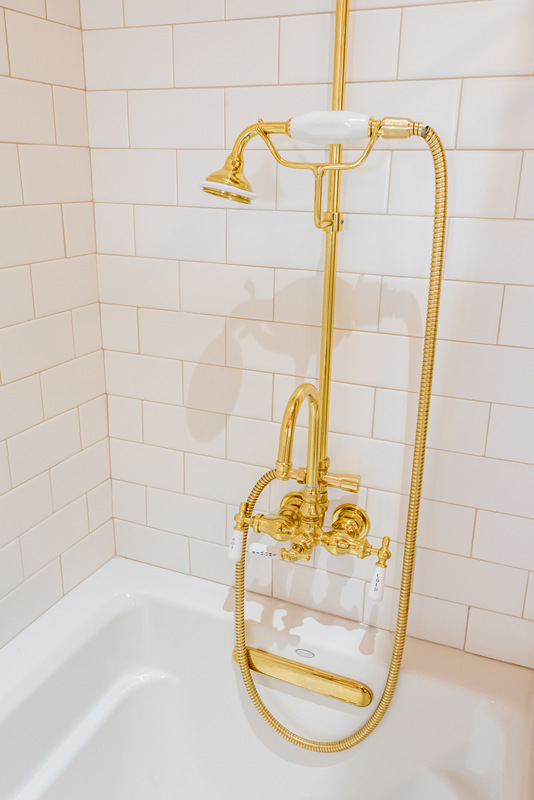 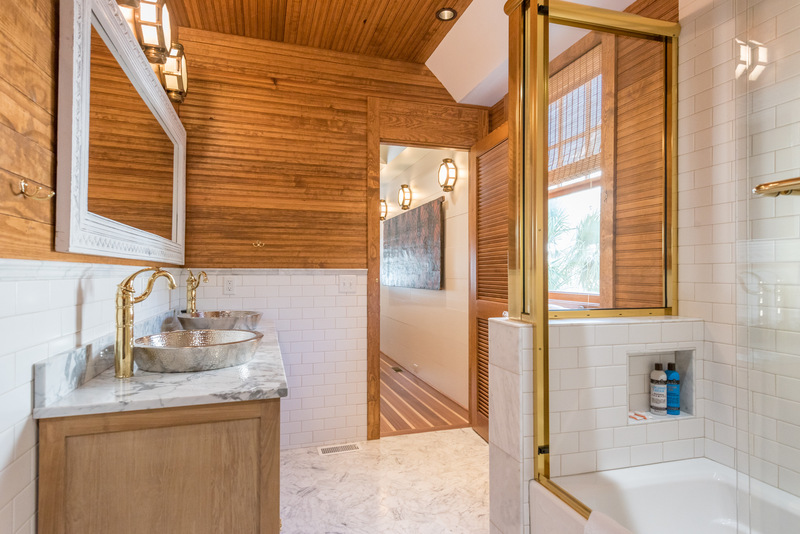 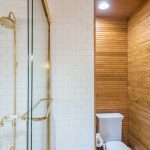 Luxury bathrooms with spa showers, Toto toilets, all linens provided. 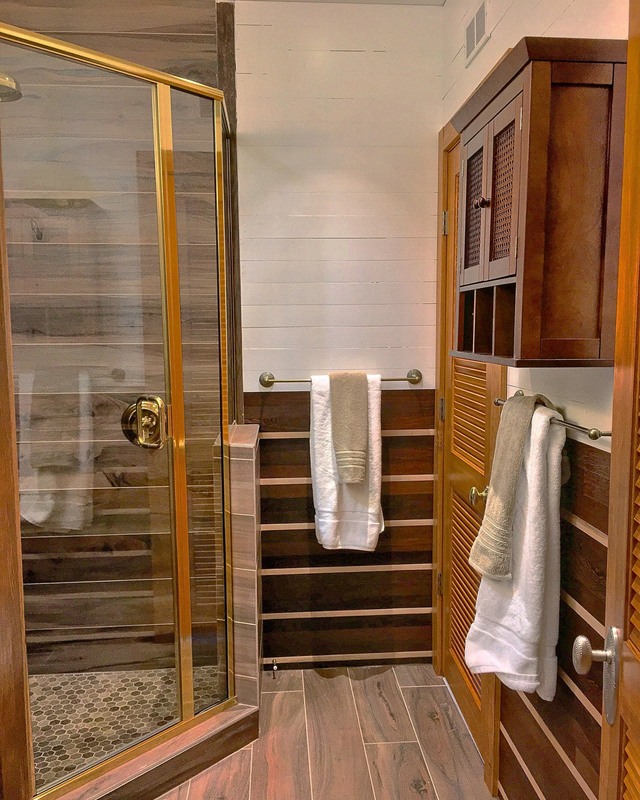 Two outdoor showers. 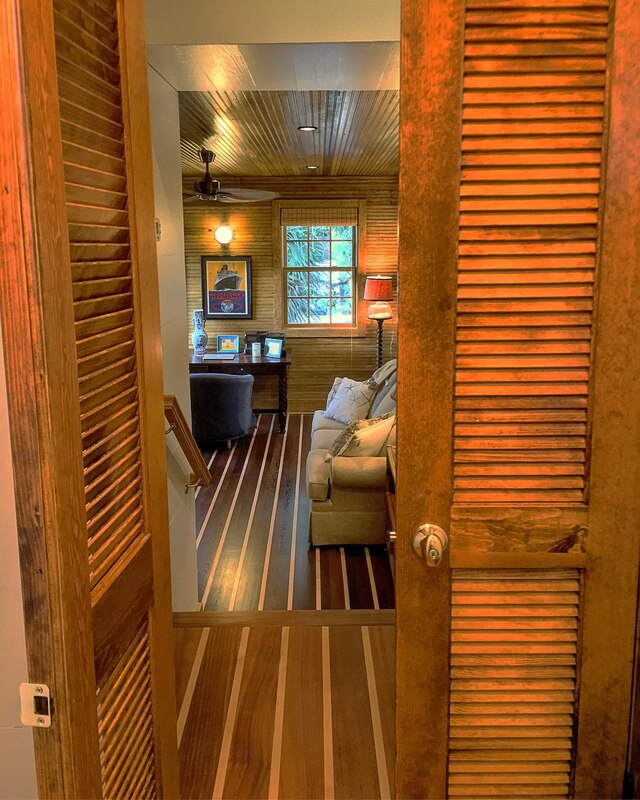 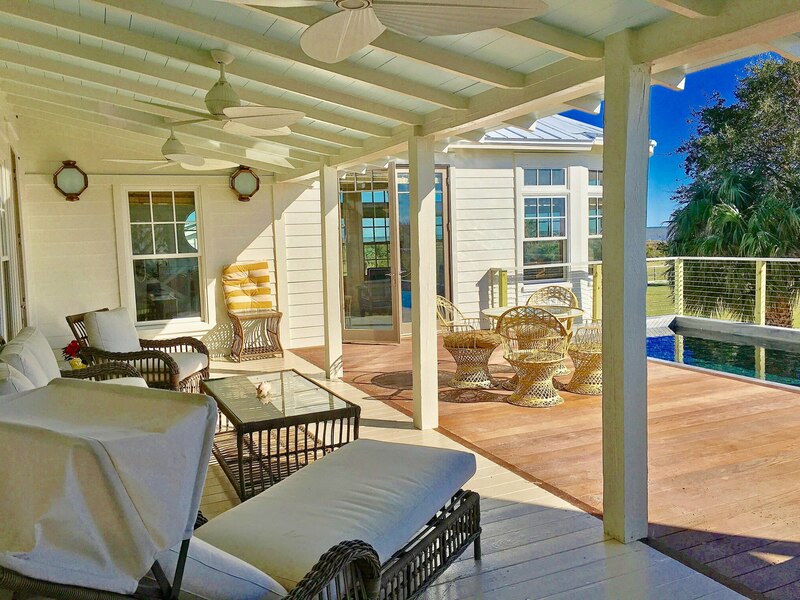 Master BR has large private sunning balcony. 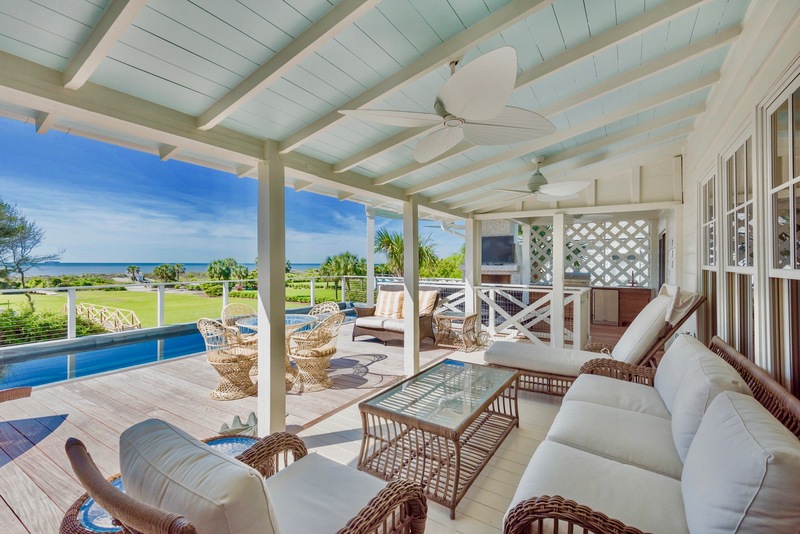 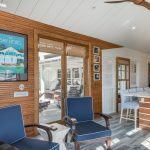 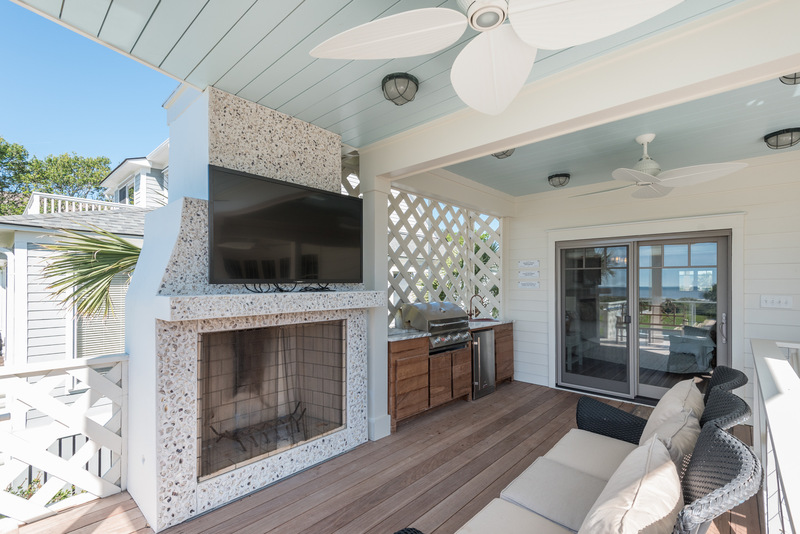 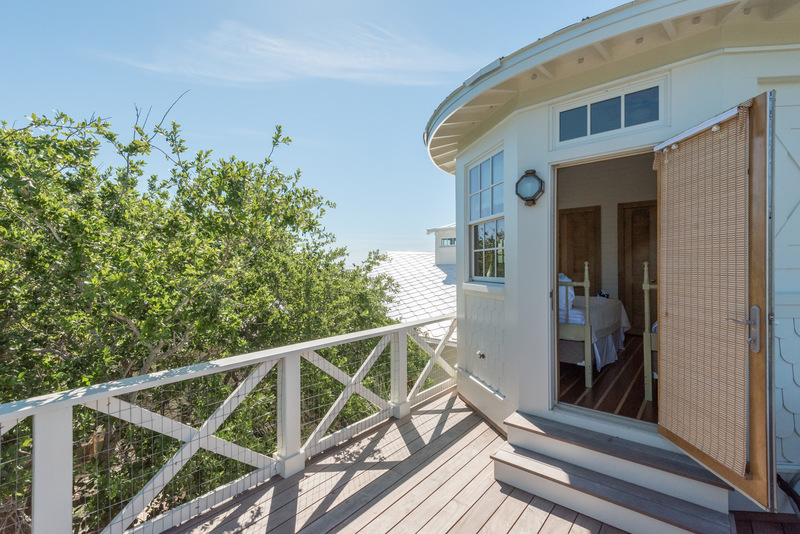 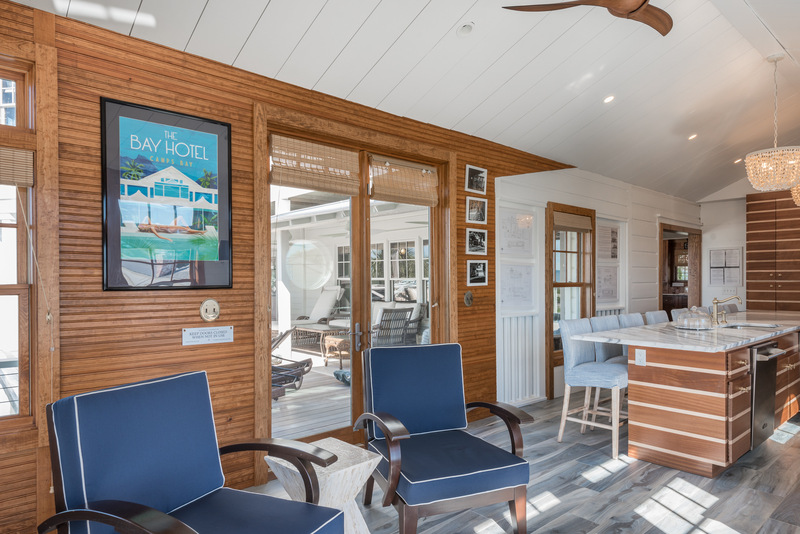 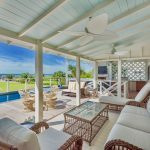 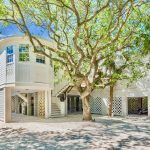 Main porch & sundeck & cabana framed by property’s lush trees for exclusive privacy on the Front Beach – Bask in the sun in total privacy, or head right down to the beach.